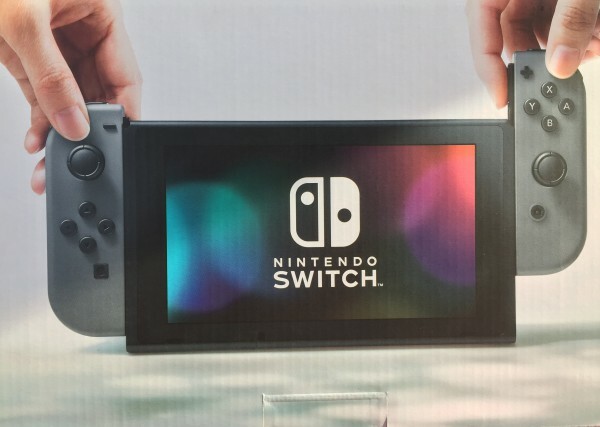 Today marks the 2 year anniversary of the Nintendo Switch. 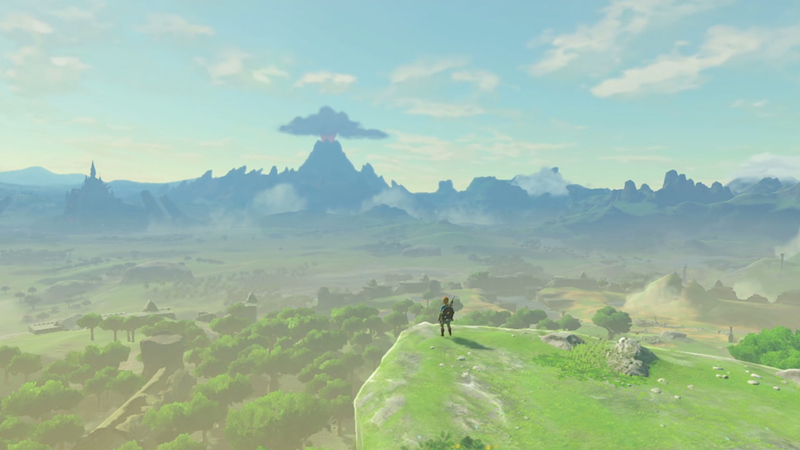 Of course, that also means it’s the 2 year anniversary for The Legend of Zelda: Breath of the Wild. 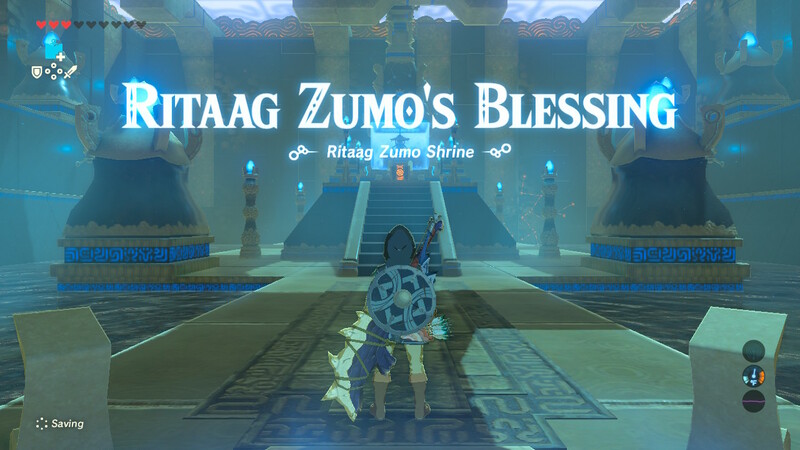 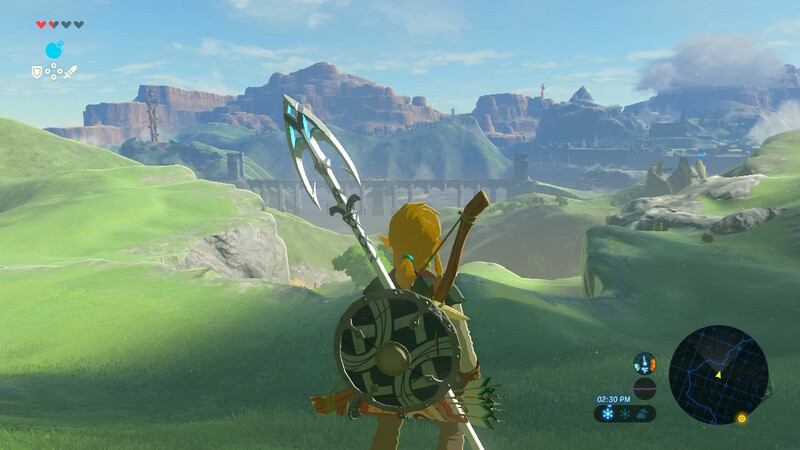 Released on launch day alongside the brand new Nintendo Switch, players were thrust once more in the shoes of Link and embarked on an incredible and breathtaking journey. 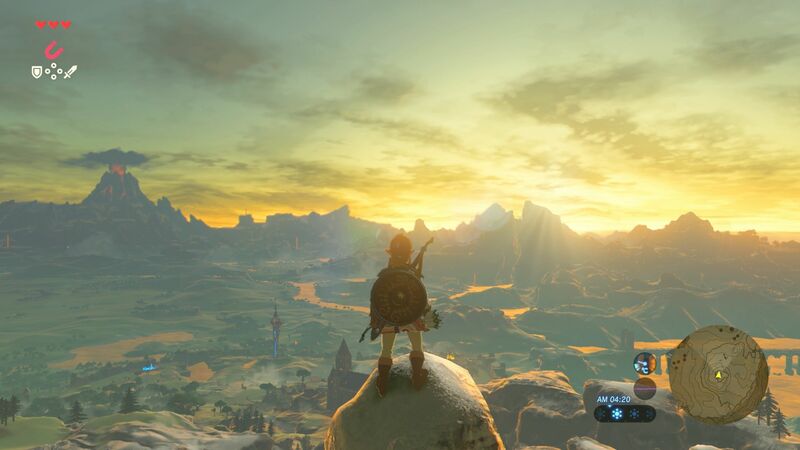 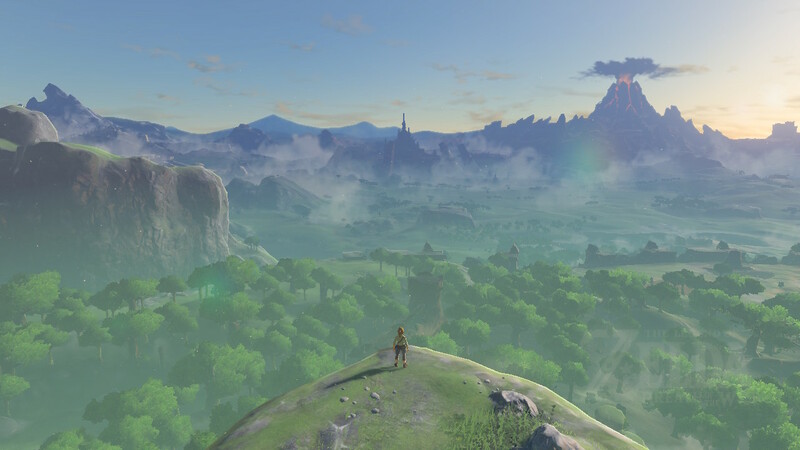 This also marks the first Switch game review on RVGFanatic, and I can’t think of a better time than the 2 year anniversary or a better game to kick things off with than Breath of the Wild. 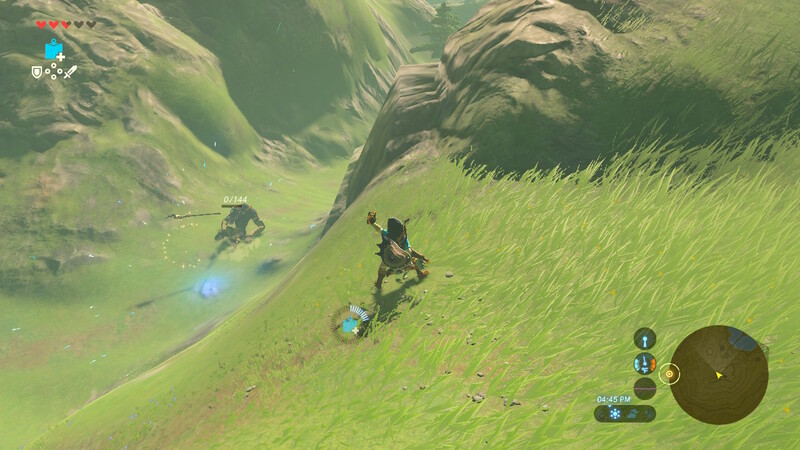 Stunning in sheer scope and majestic in motion, there’s a reason why this game has made such a lasting impression and is considered by many to be one of the finest Switch games made so far, if not THE best. 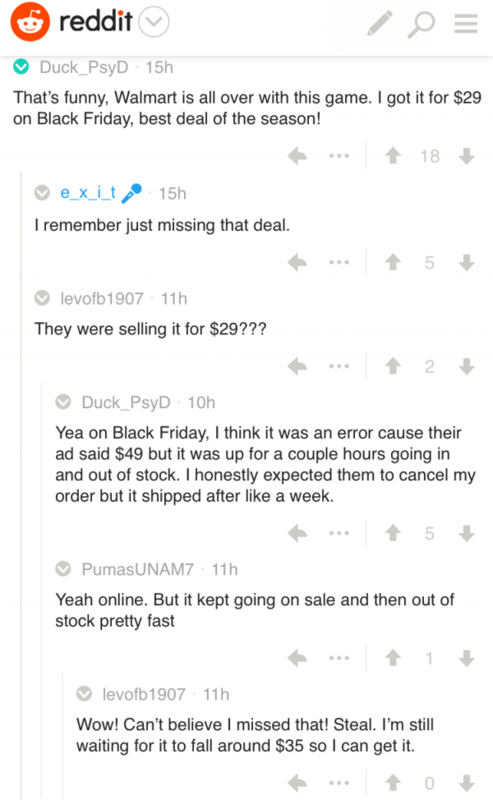 Fate stepped in when my brother bought a copy over Black Friday for just $29 on Walmart’s website due to a system error. 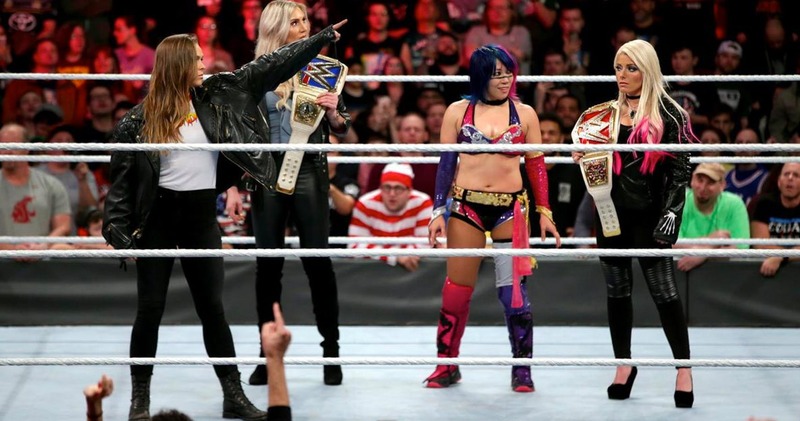 Walmart quickly realized its mistake but had to honor the lucky folks who jumped over the deal before it could be fixed. 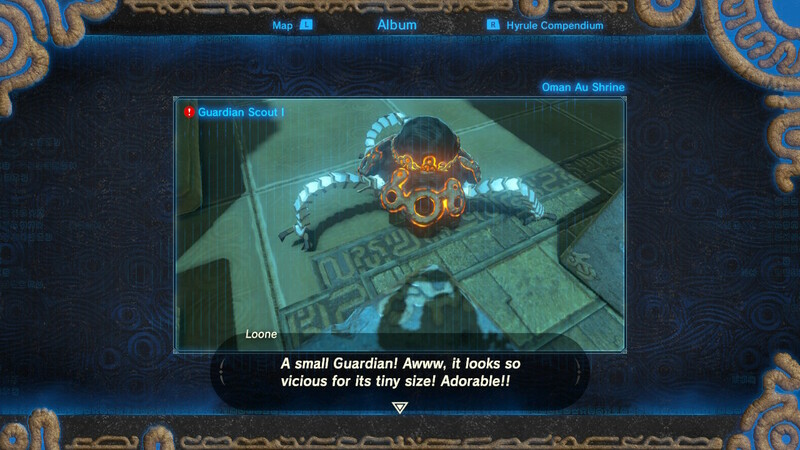 My brother didn’t own a Switch but he figured it was too good a deal to pass up on and that he could always mail it to our cousin, who is a huge video gamer. 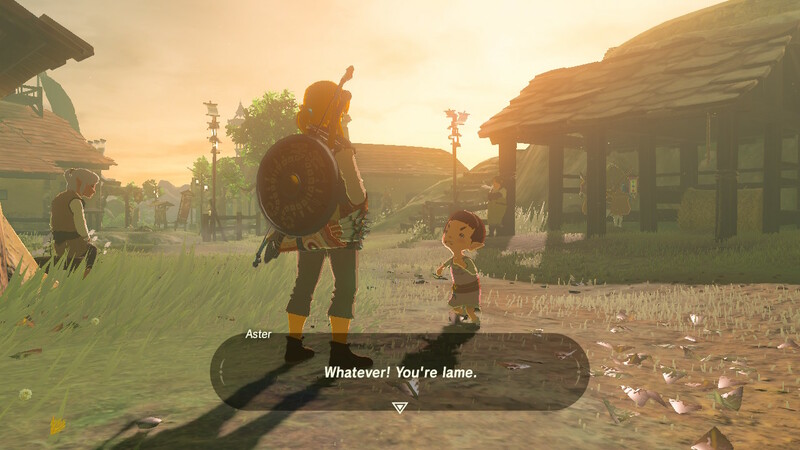 As luck would have it, my cousin — being a huge Zelda fan — already had it. 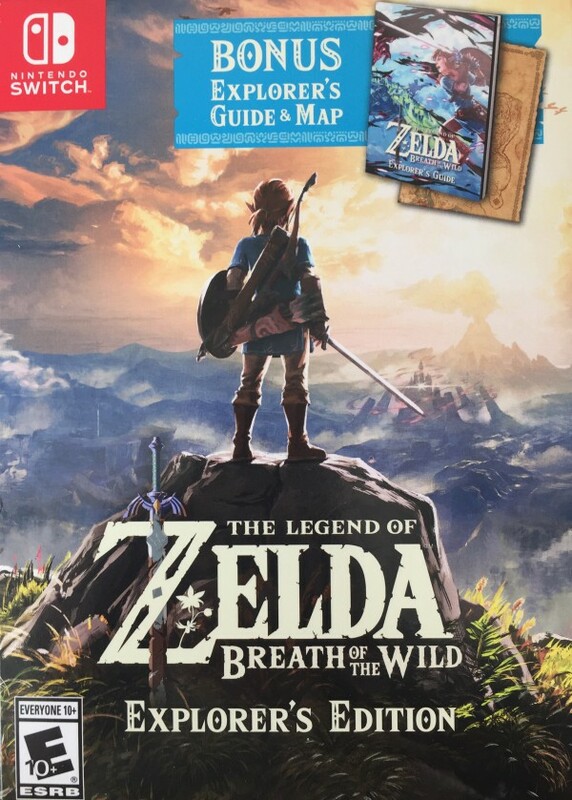 With my brother willing to gift me Breath of the Wild as an early Christmas present, I rushed out to Target on Saturday, December 2, 2017. 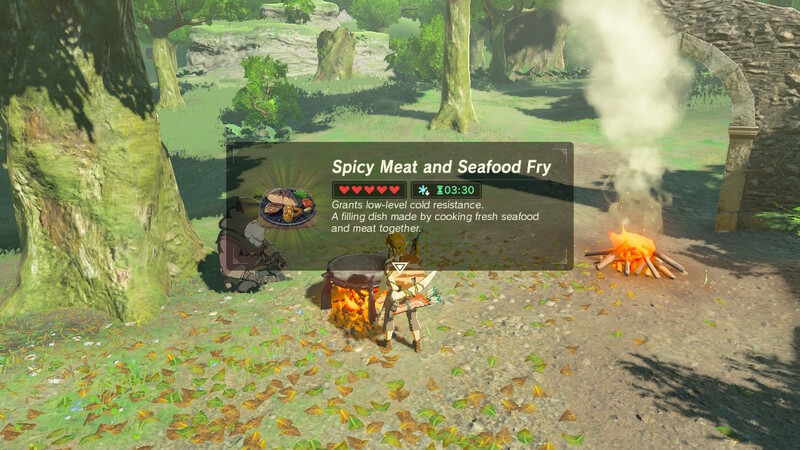 I walked out with the last Switch system, cradling it close to my chest as though it were the last piece of meat on earth. 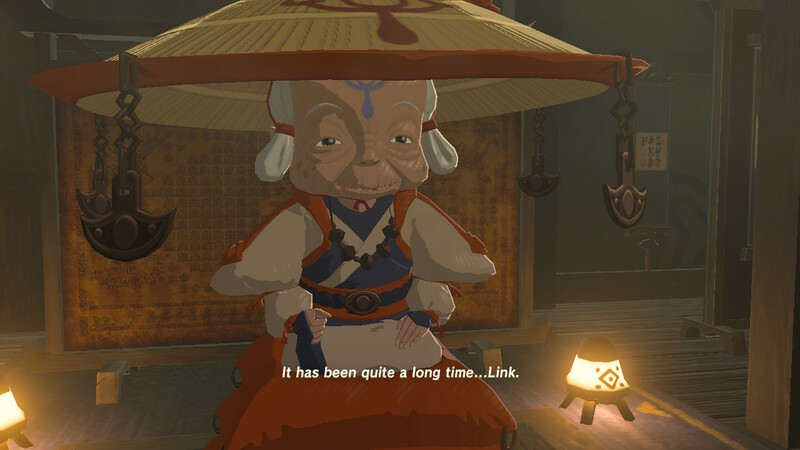 It was the first system purchase I made in nearly 12 years. 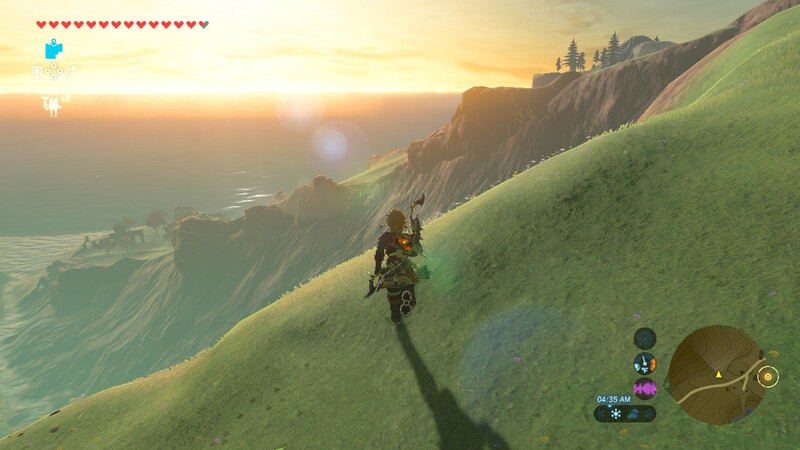 Later that night I fired up Breath of the Wild and fell in love with the land of Hyrule all over again. 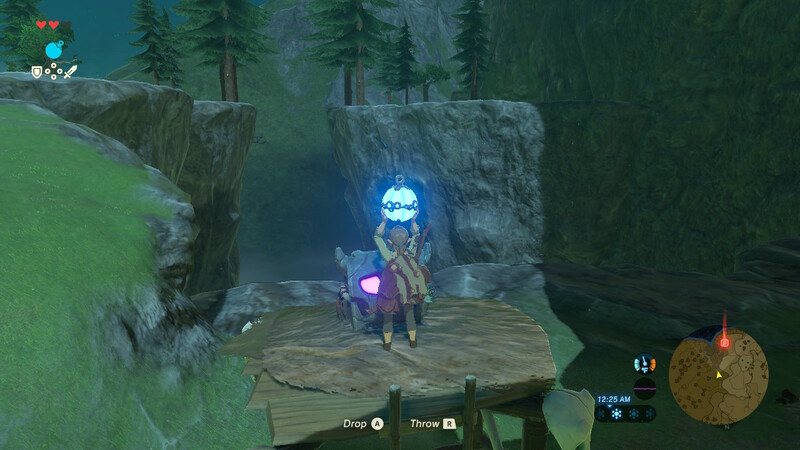 The following is a visual documentation and stroll down memory lane of that epic adventure that ran me over 200 hours over the course of 6 blissful months. 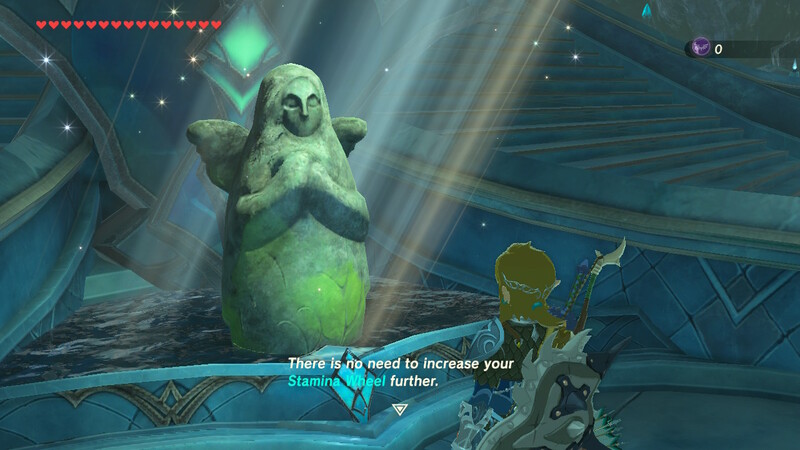 Link awakens after a long slumber in this weird chamber of sorts. 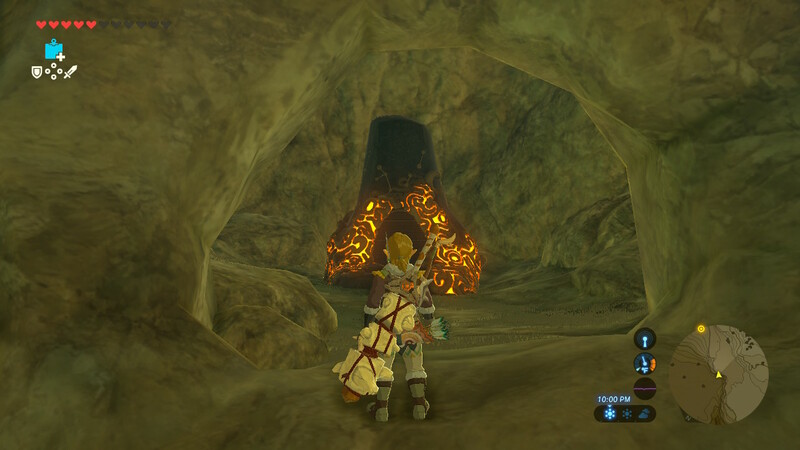 Navigate your way around and then venture forth in the opening there to the great unknown. 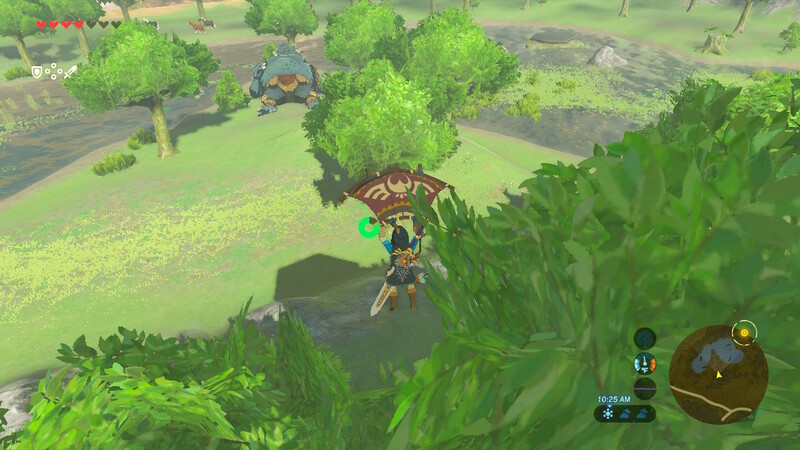 Much like previous Zelda classics, a palpable sense of ADVENTURE permeates throughout Breath of the Wild. 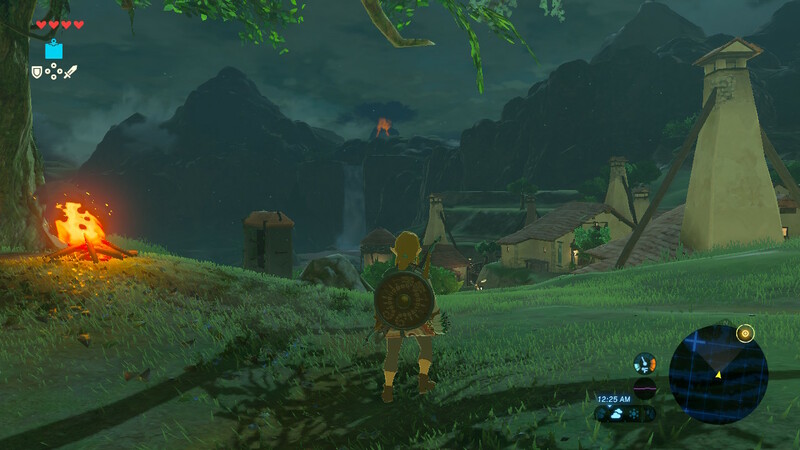 It’s hard to describe the first few hours of this game and do it justice. 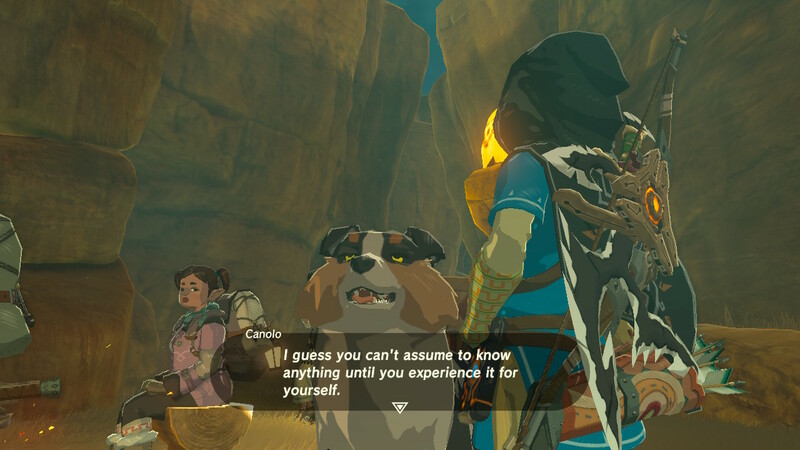 It’s a discovery of autonomy and endless options. 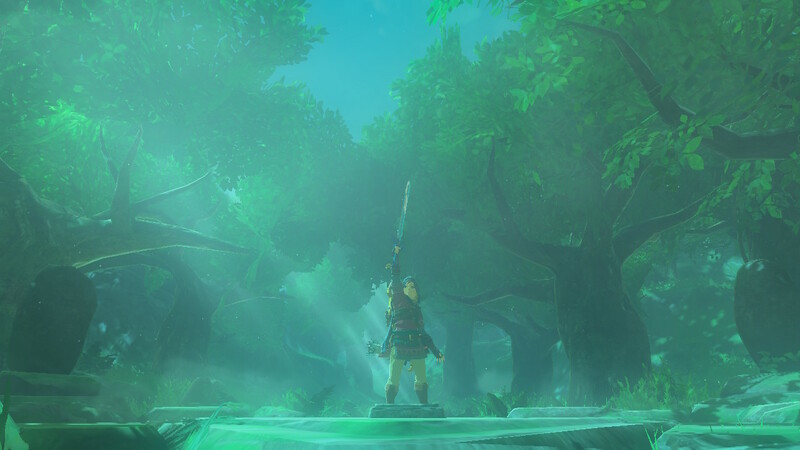 You just know you’re embarking on this grand scale adventure and that you’re barely scraping the surface. 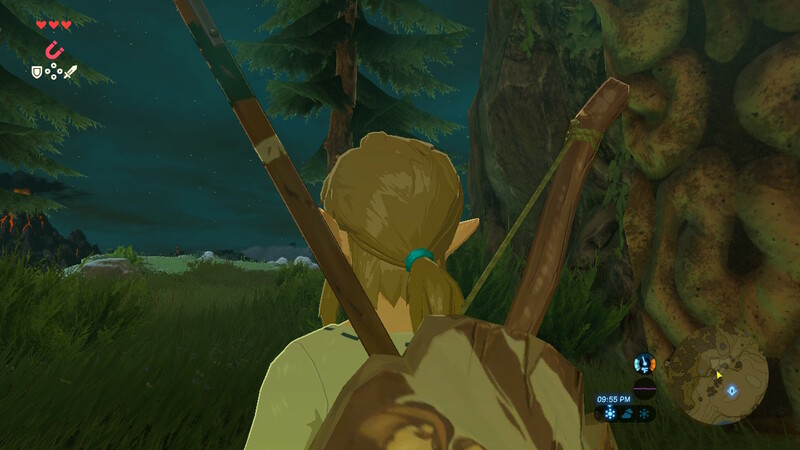 Night falls and it feels like you’re right there with Link lurking in the wooded areas. 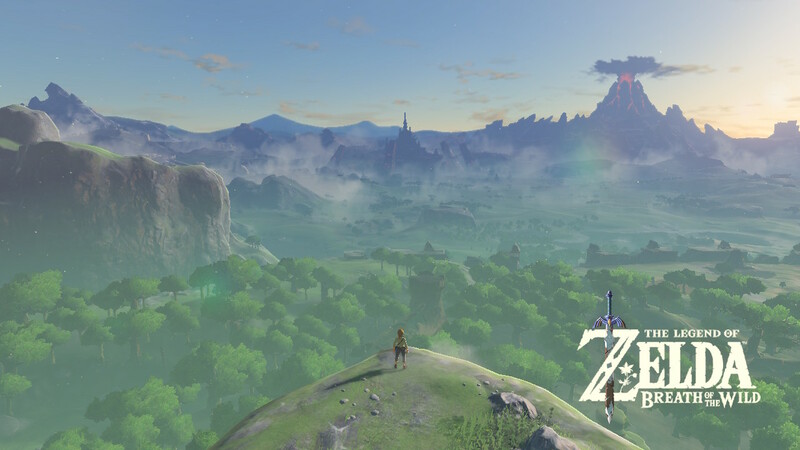 Best of all, thanks to the Switch’s versatility, you can play this on your giant screen HD TV or play it in portable mode in the comfort of your own bed. 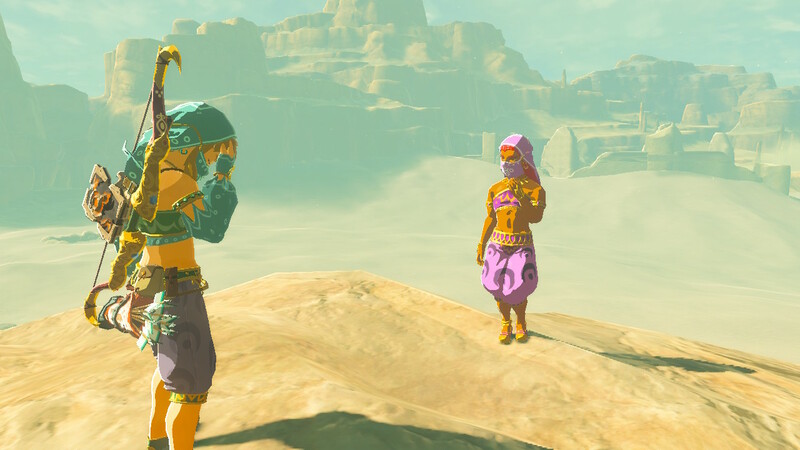 It’s fun just playing around with the camera and admiring the sights that surround you. 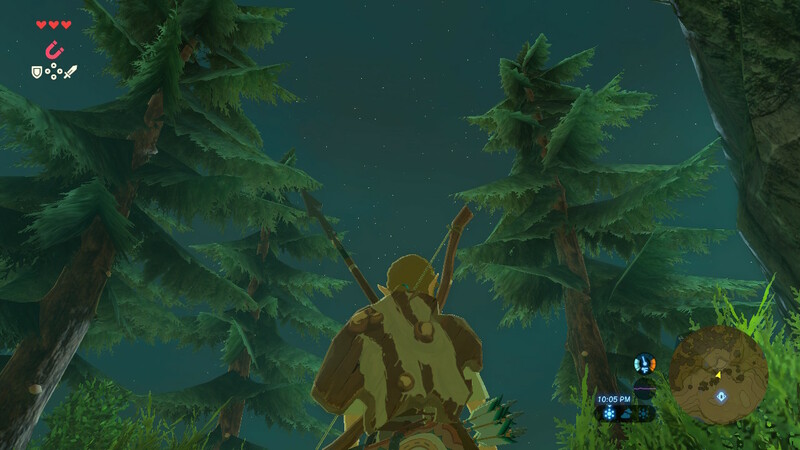 This shot here reminds me of all the long summer evenings of my childhood sprawled out in my backyard looking up at the starry sky while listening to my uncle weave spooky stories of the macabre. 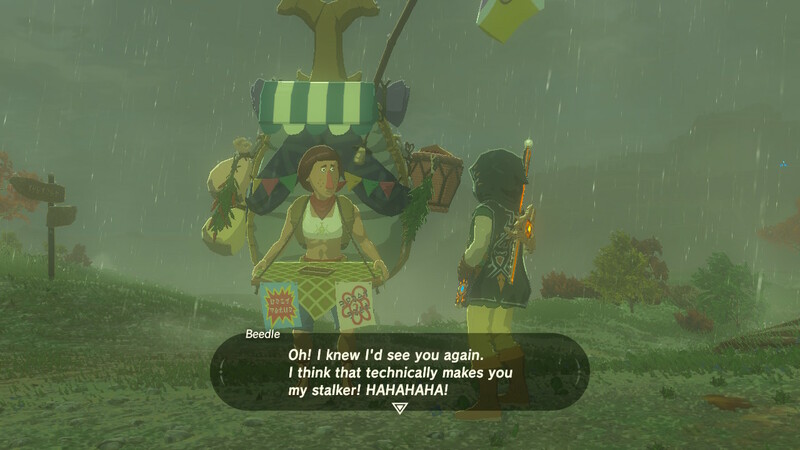 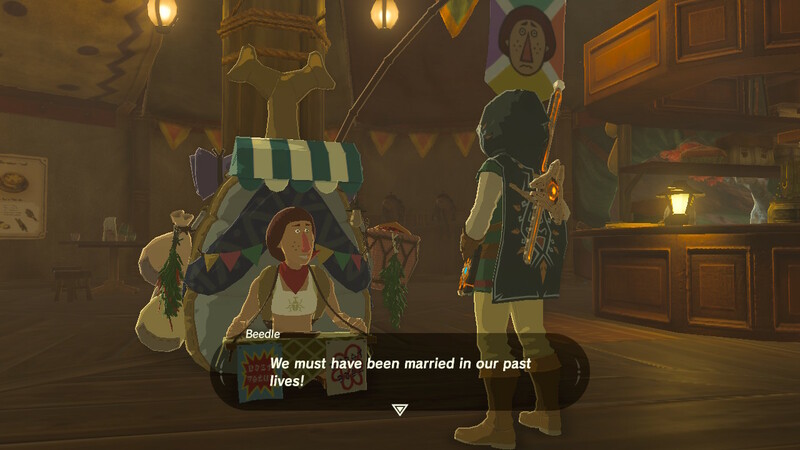 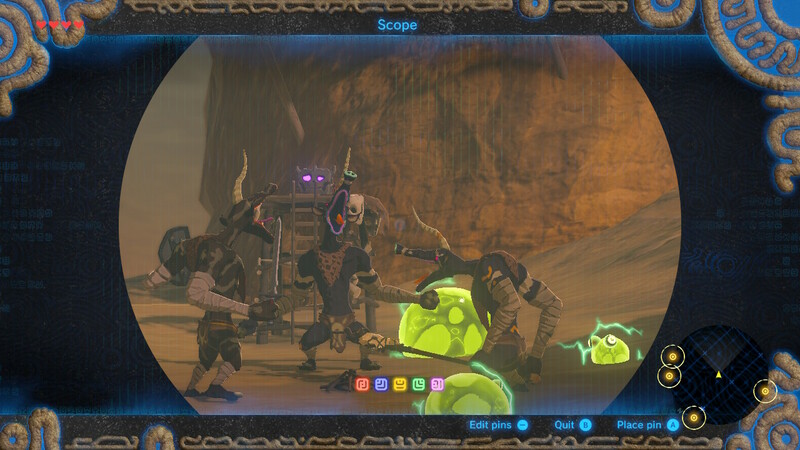 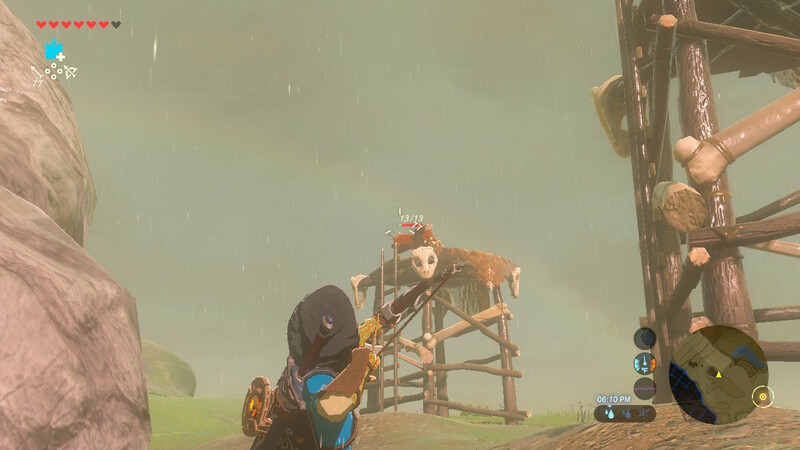 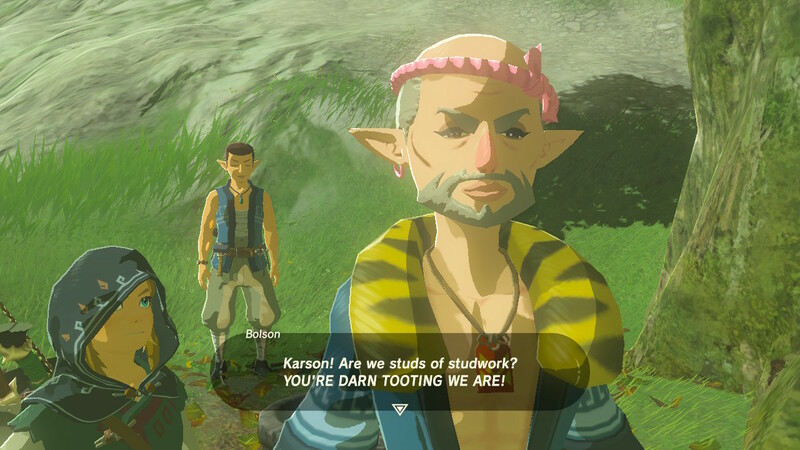 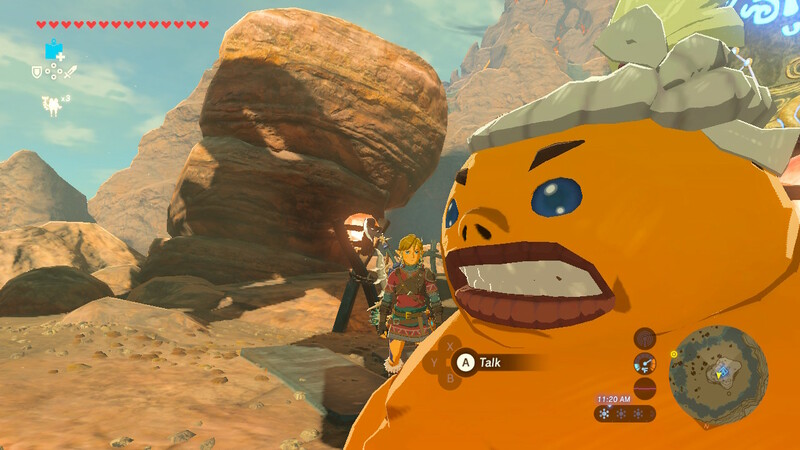 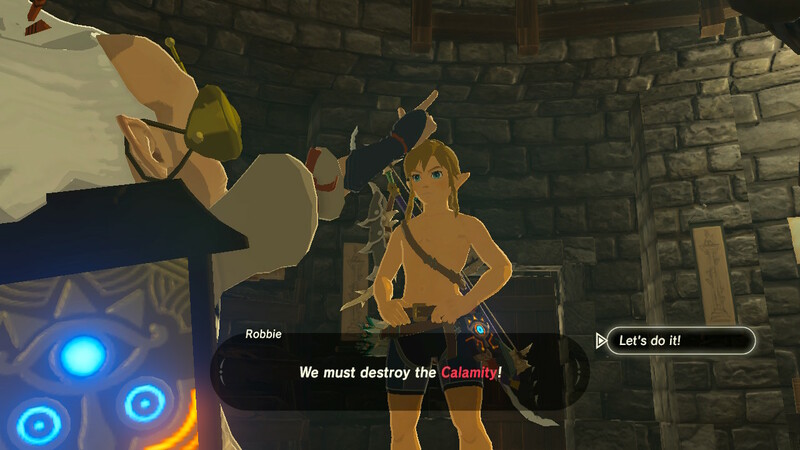 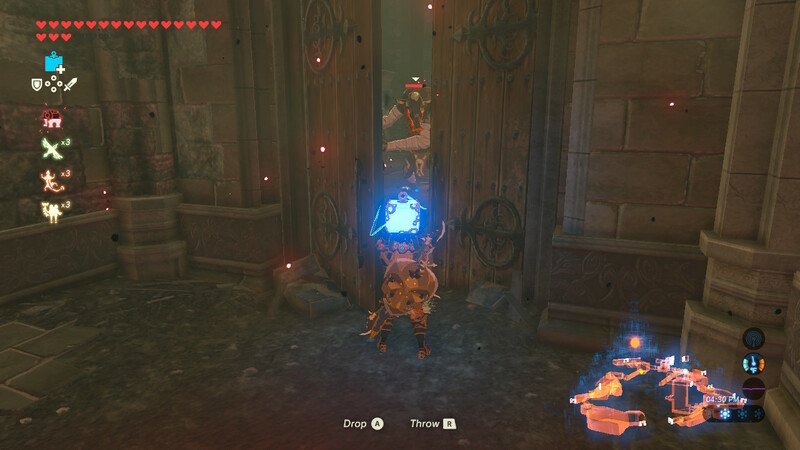 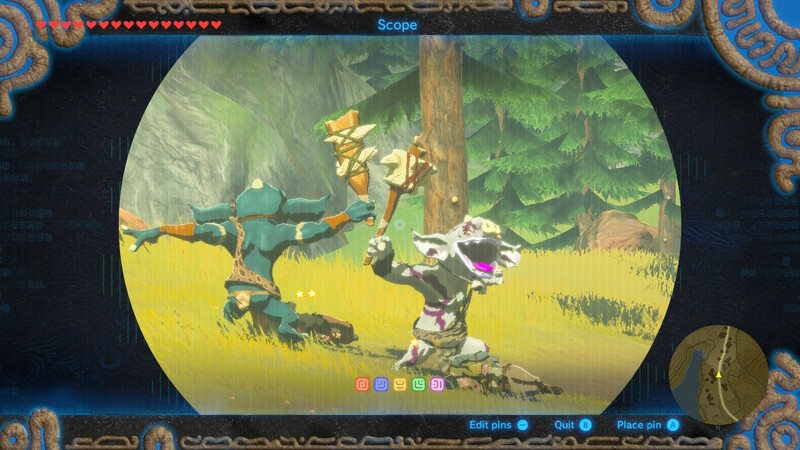 Those Bokoblins are gonna pay now! 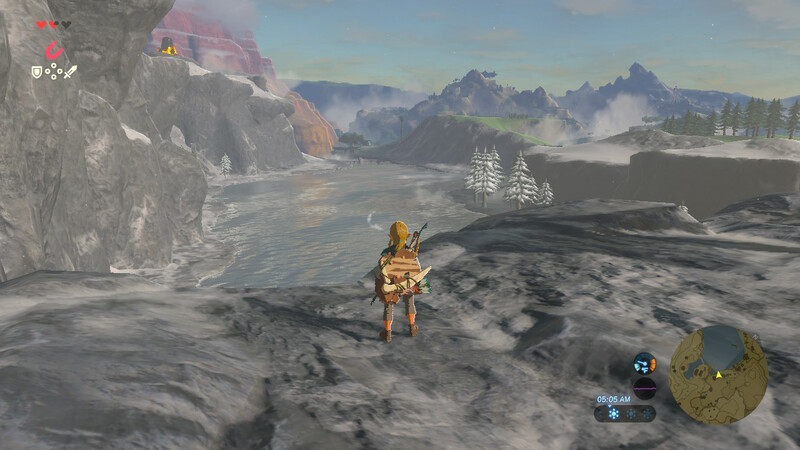 A seamless and free flowing sandbox world means you can easily get lost in a number of side tasks for as long (or little) as you wish. 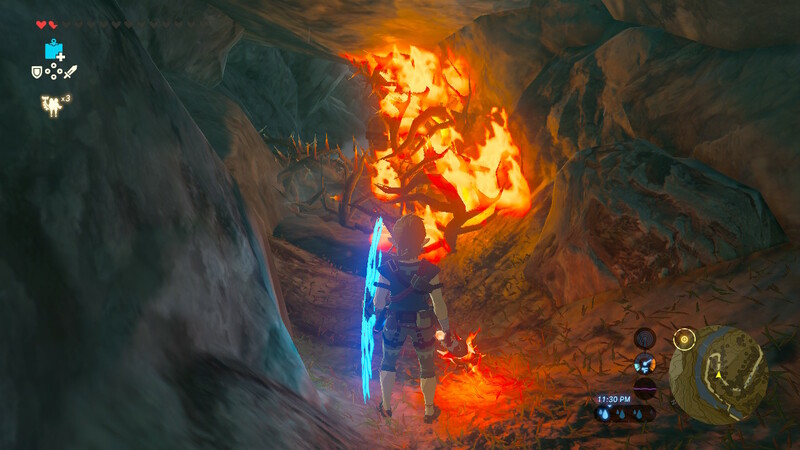 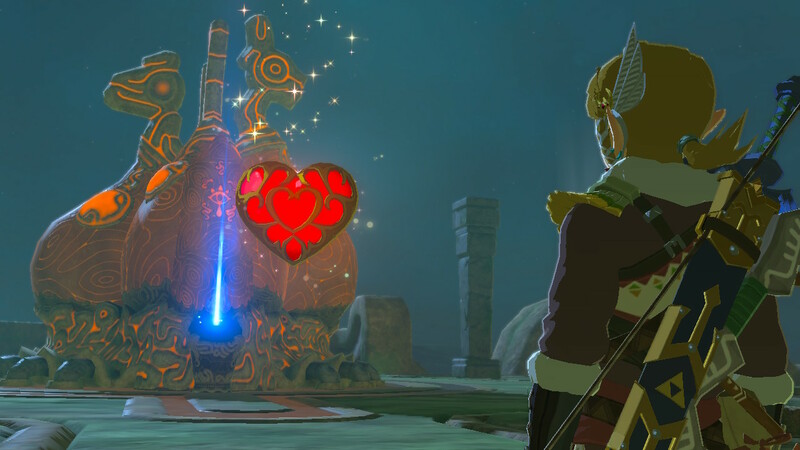 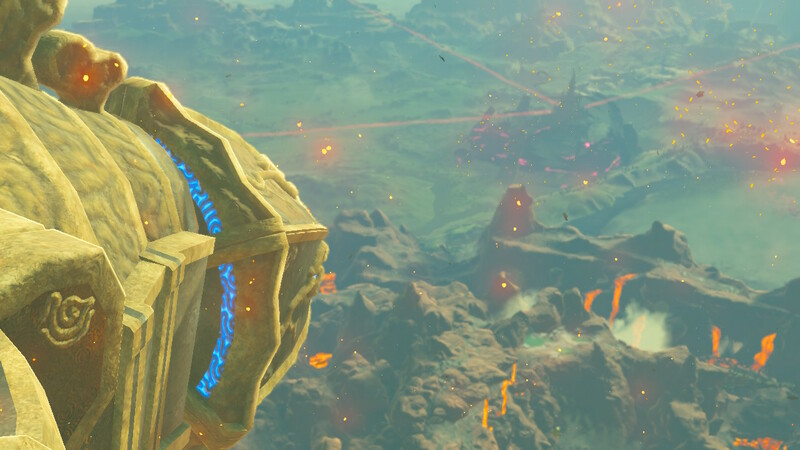 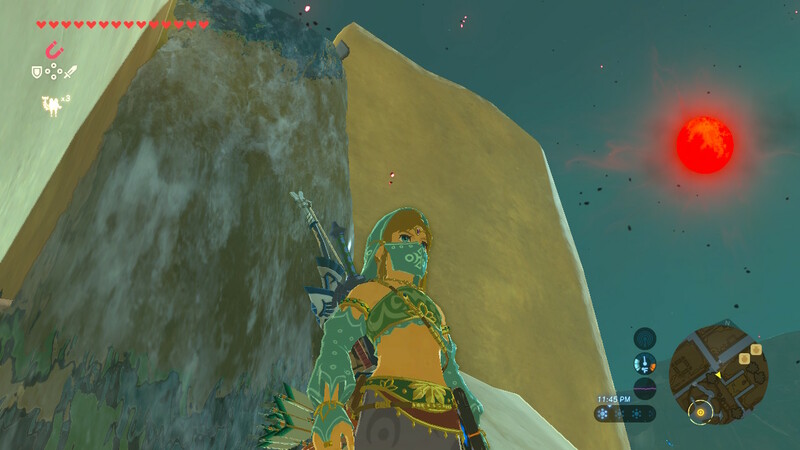 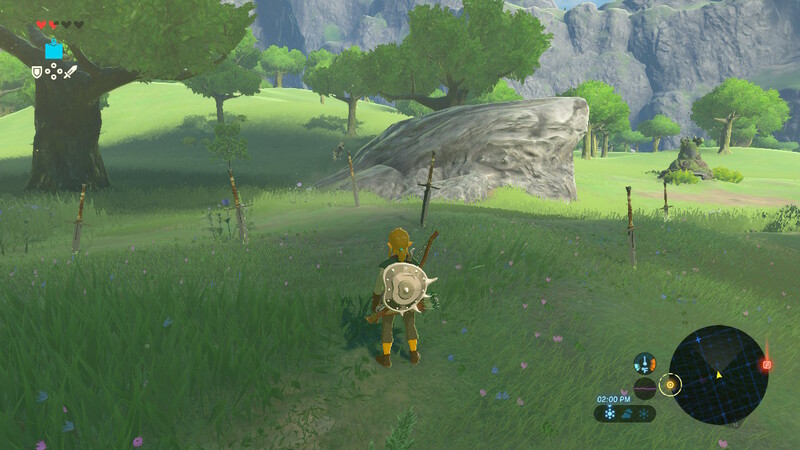 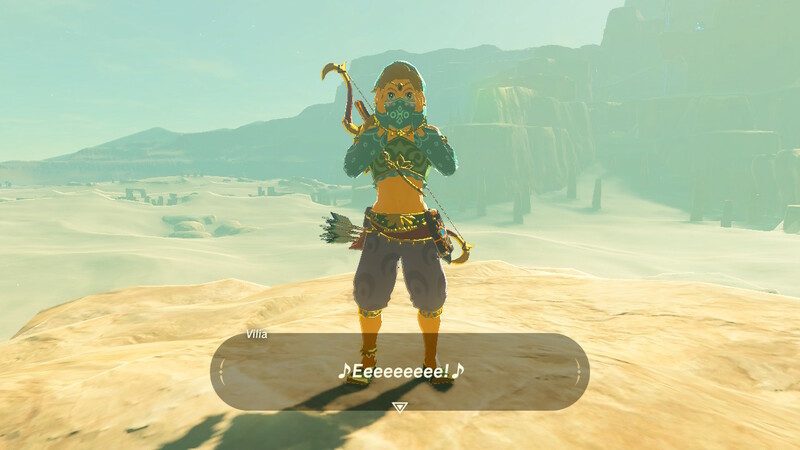 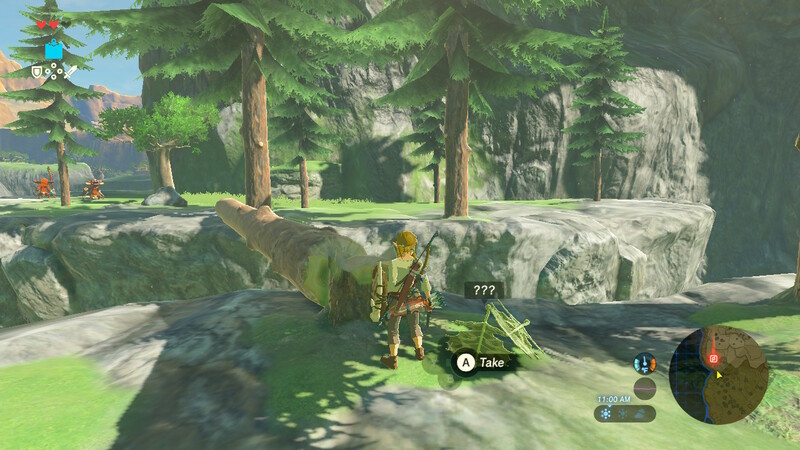 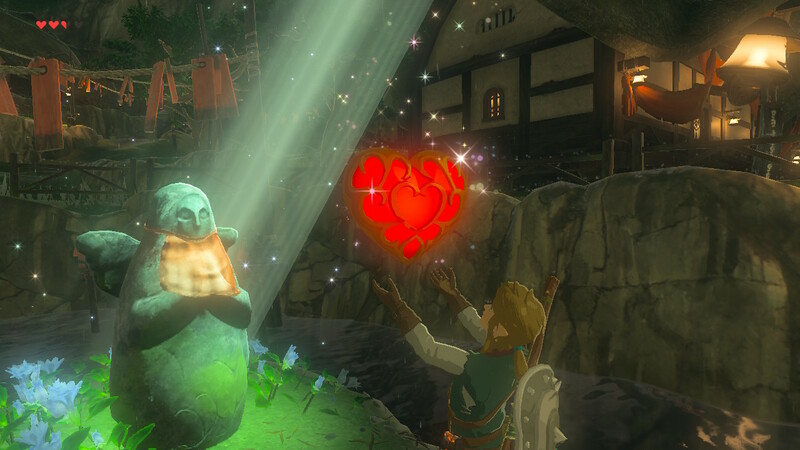 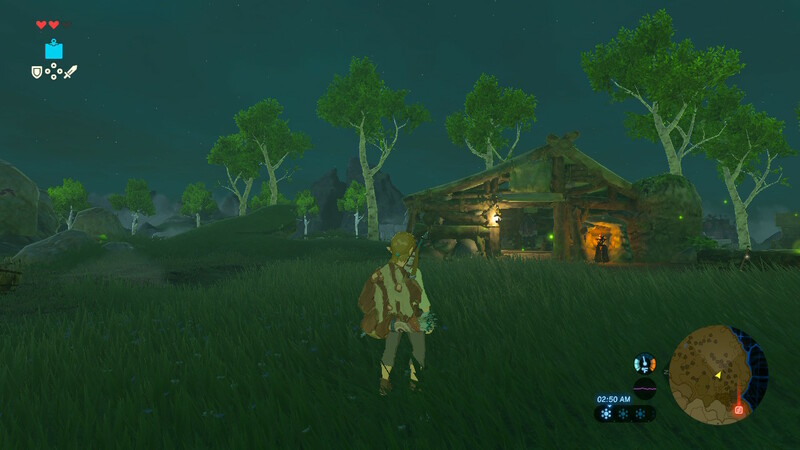 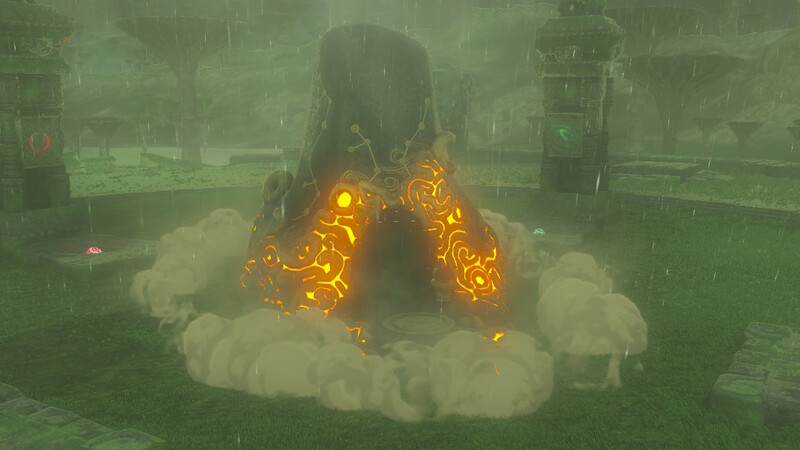 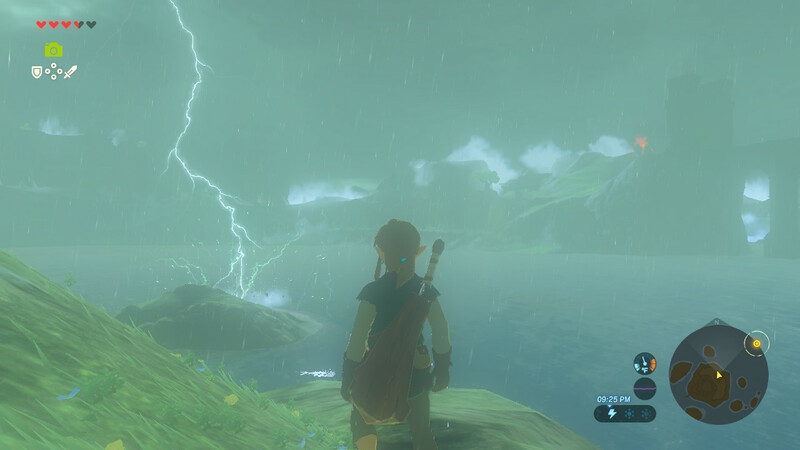 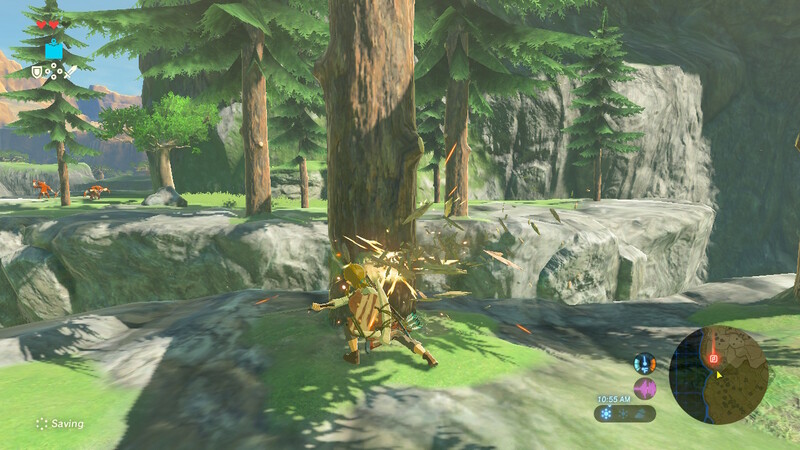 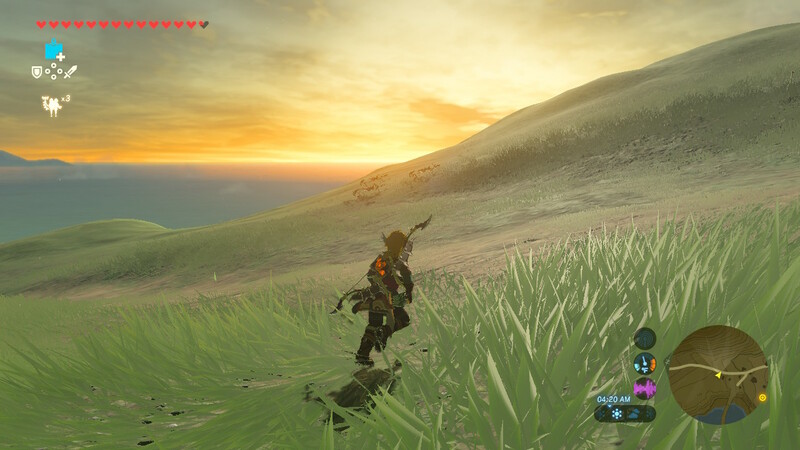 On my way to discover the next shrine, I often found myself distracted by random things such as unearthing Korok seeds, interacting with locals or destroying the latest nest of Bokoblins to unlock treasure chests. 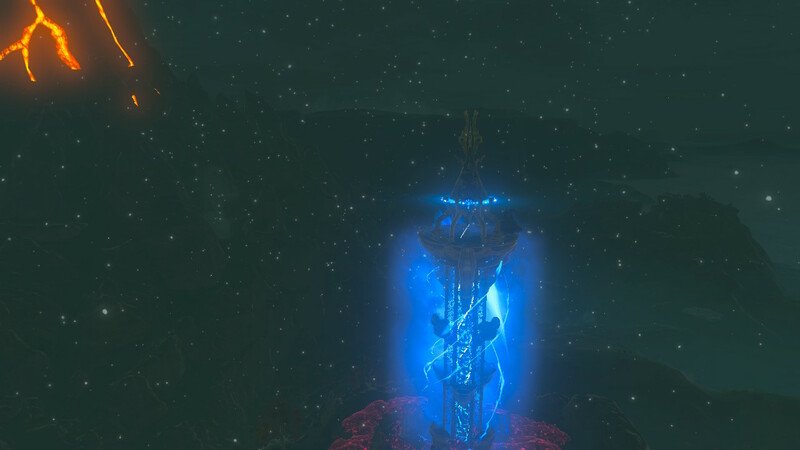 Spotting a new shrine in the not too far distance always made me cheer silently in my seat (or, as it was in most cases, laying down in bed). 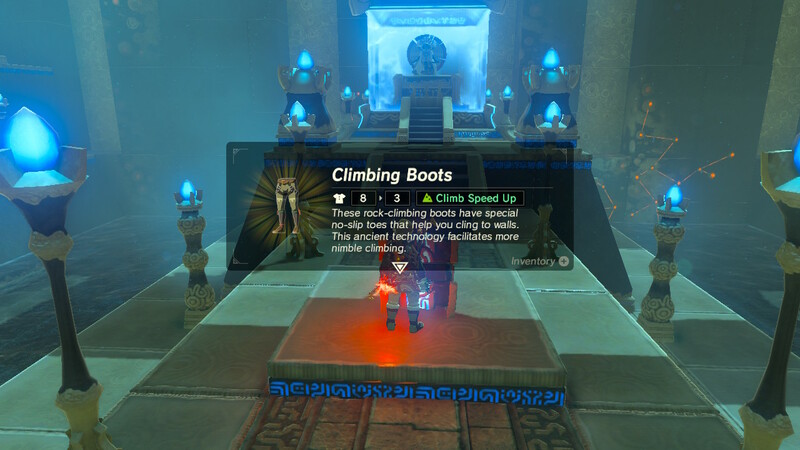 Upgrading your inventory is not only rewarding, it’s necessary. 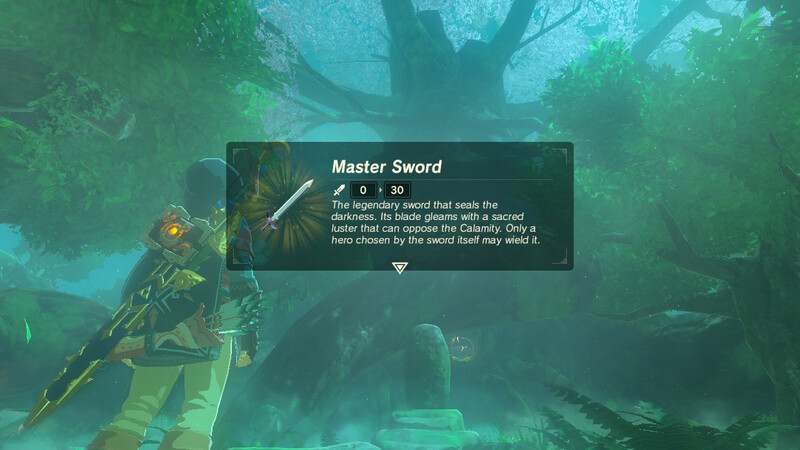 Since weapons break with usage, you’re in a constant scramble to restock. 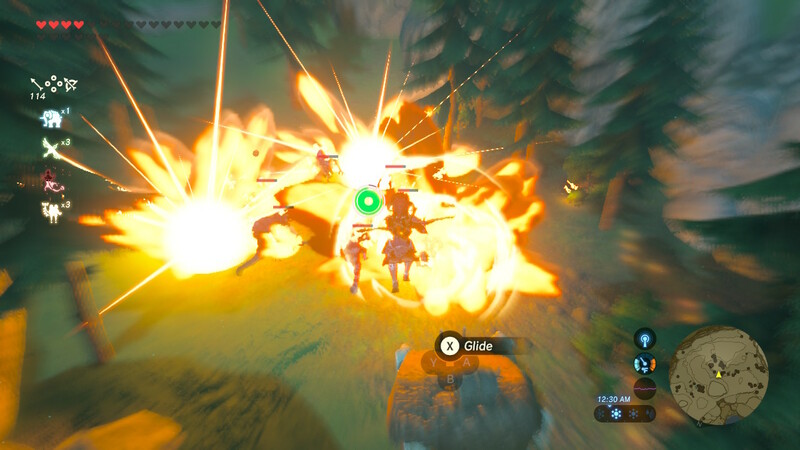 Going from wooden shields and weak weapons to fancy metal ones and spears is a tangible surge in both ability and confidence. 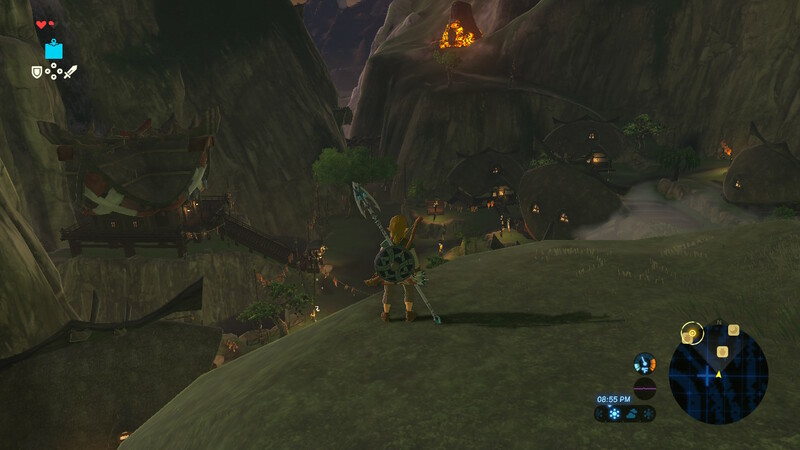 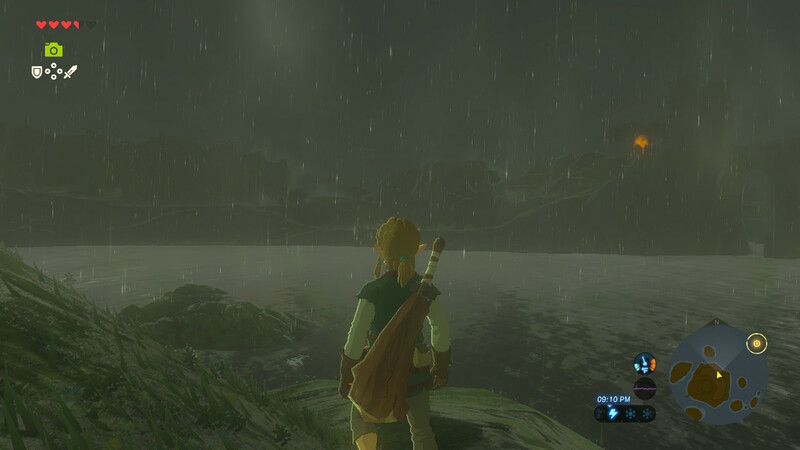 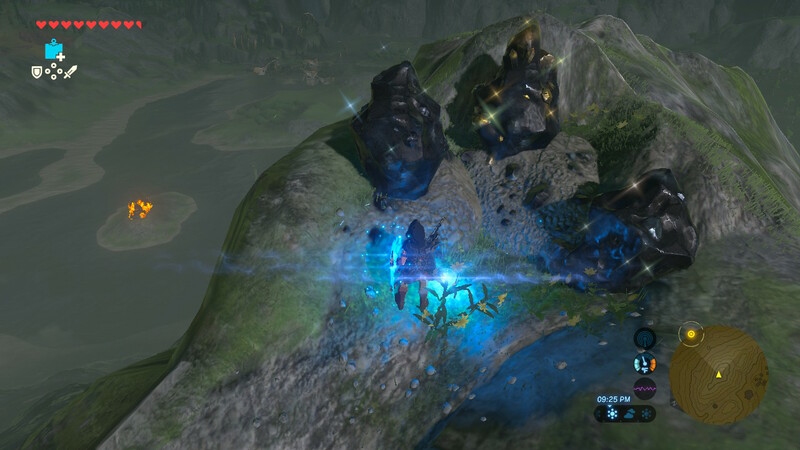 Also, reaching new areas of Hyrule never failed to satisfy as you survey the gorgeous sights that lay before you. 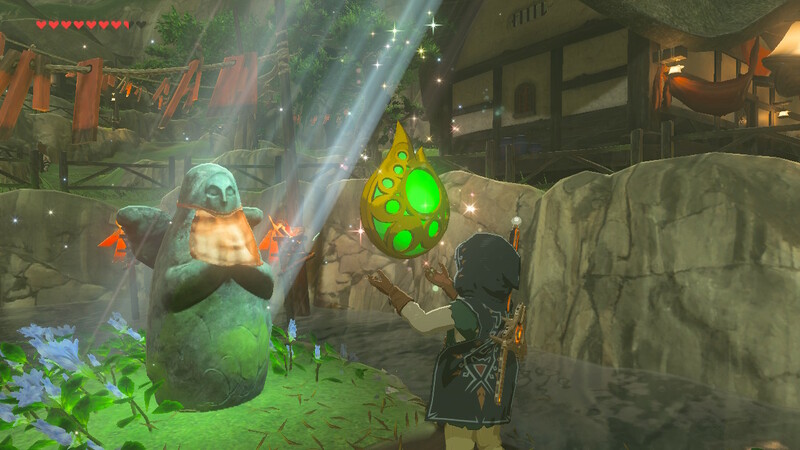 It’s a reunion with Impa! 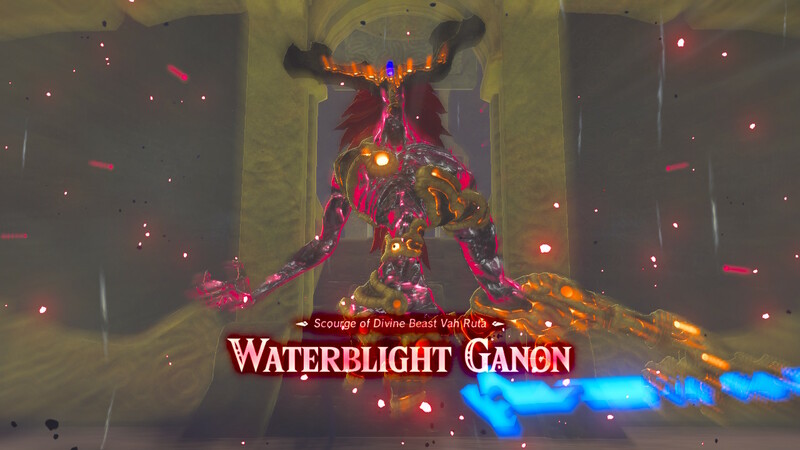 And a battle that could take all night long! 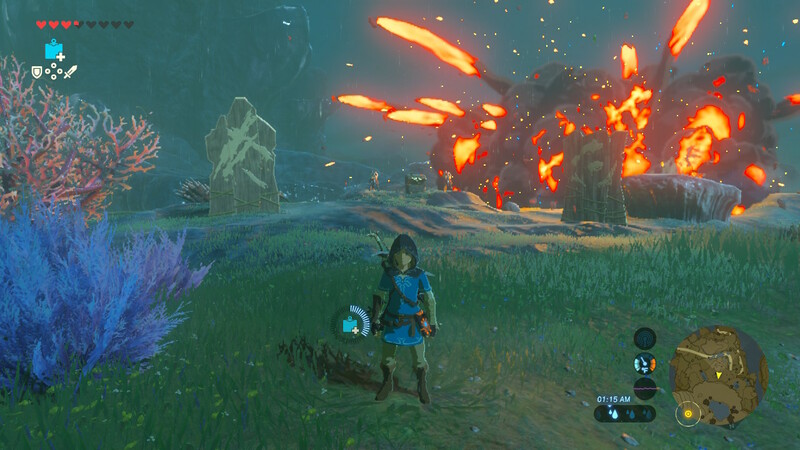 A crackling fire nearby keeps Link warm as he gazes at the volcano that looms ominously over the horizon. 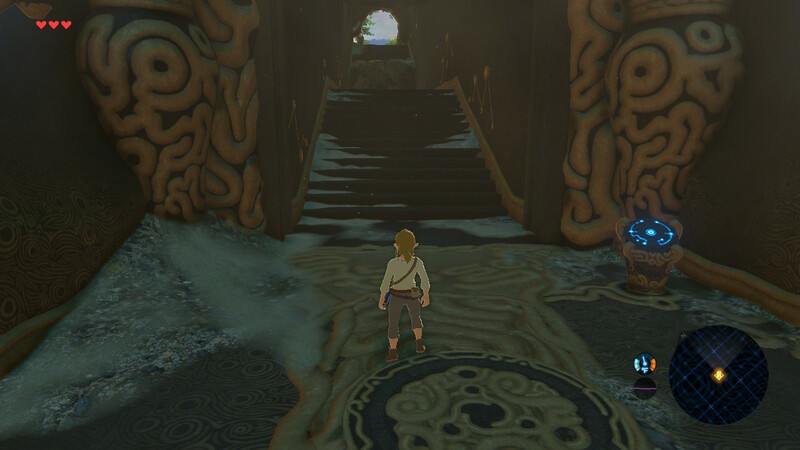 He knows deep down that at some point in his quest he must cross that waterfall and confront the vicious volcano head on. 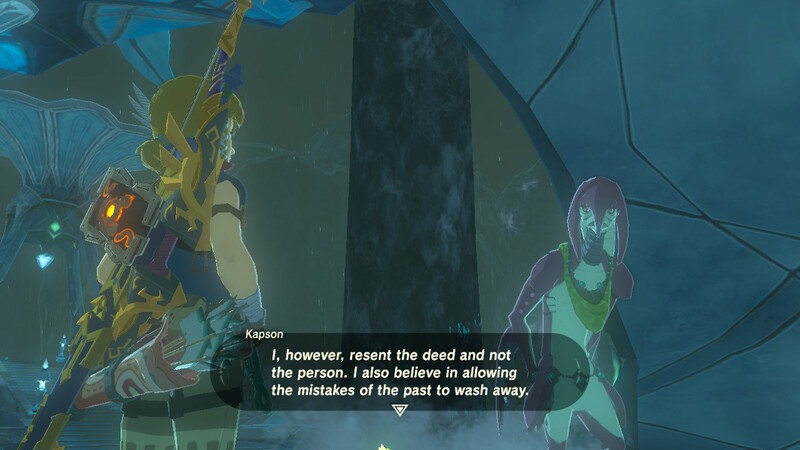 Can you unearth all 900 (!) 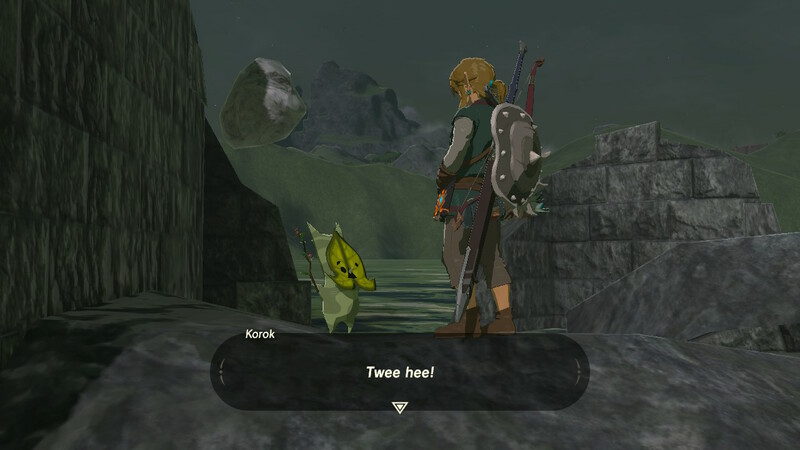 Korok seeds? 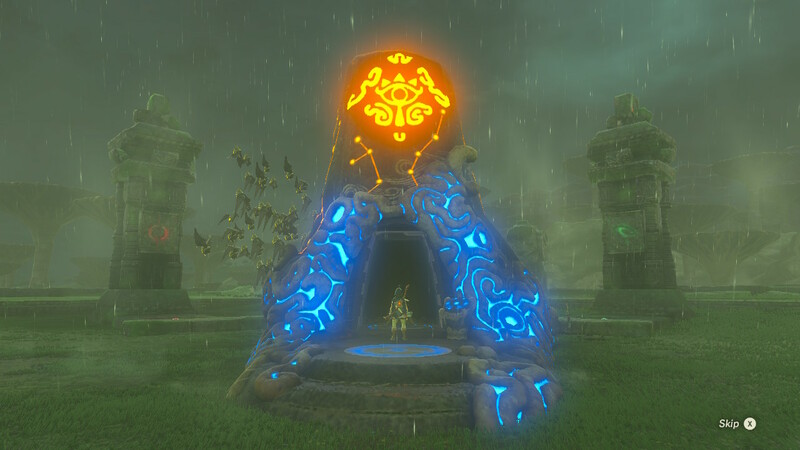 Shrines were a point of contention among some players. 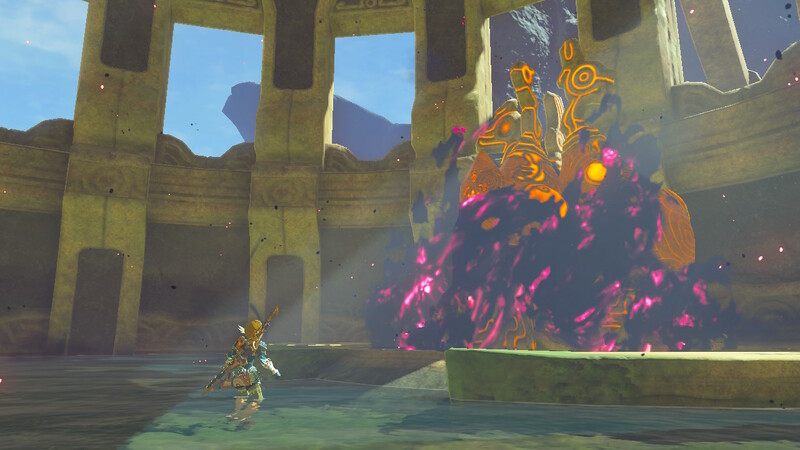 Traditional Zelda games featured dungeons with plenty of monsters and a few puzzles thrown in for good measure. 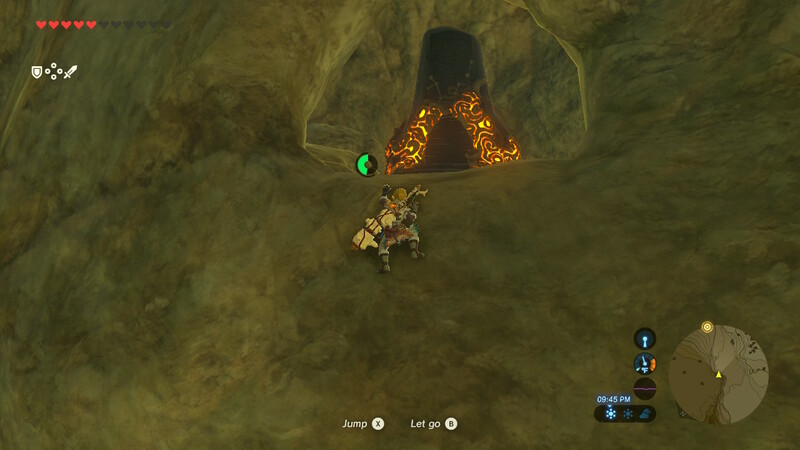 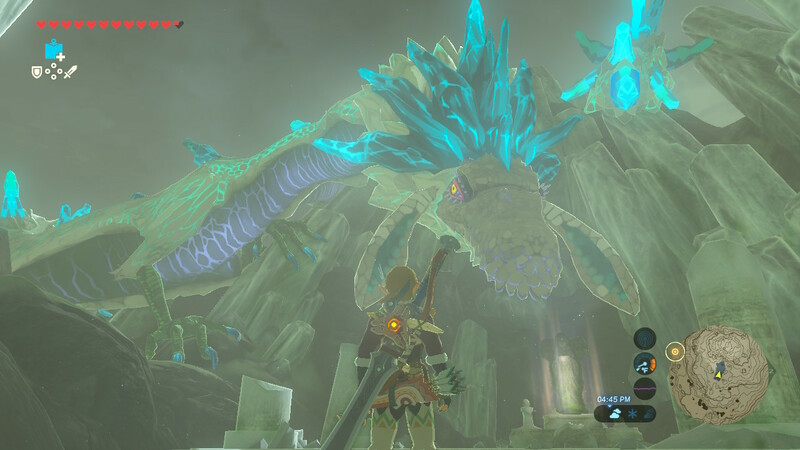 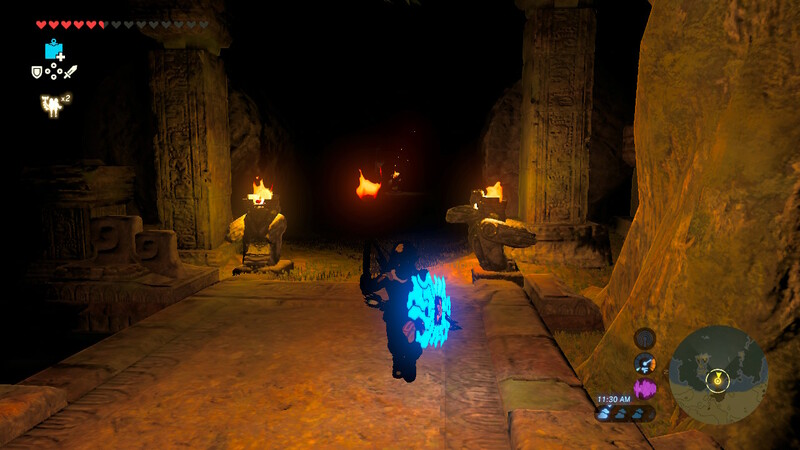 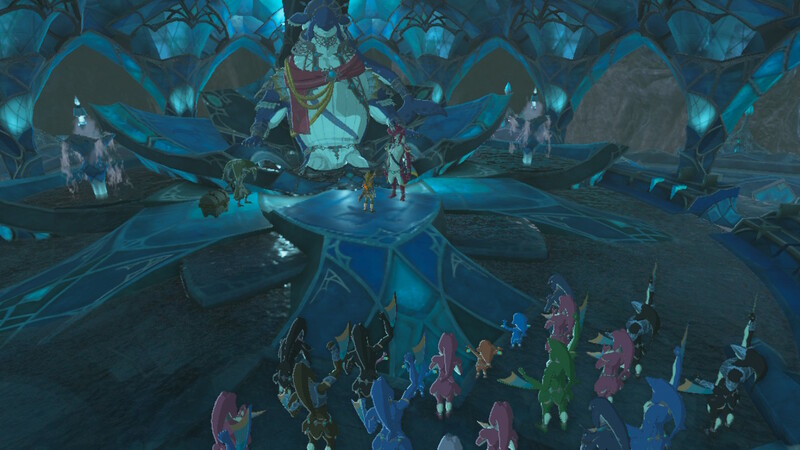 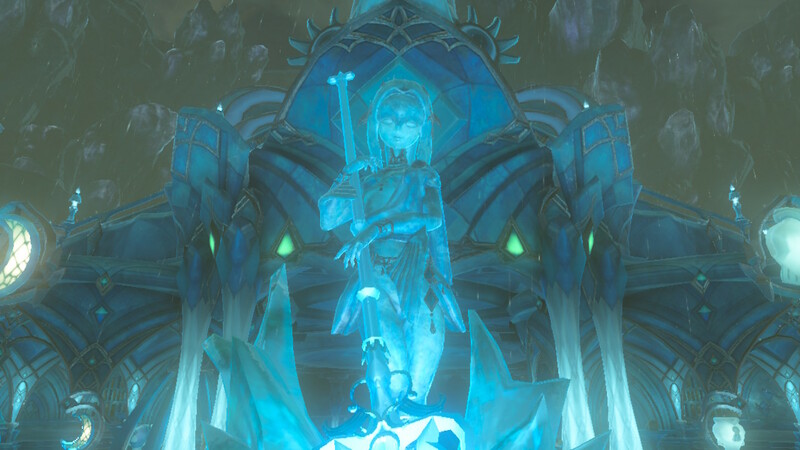 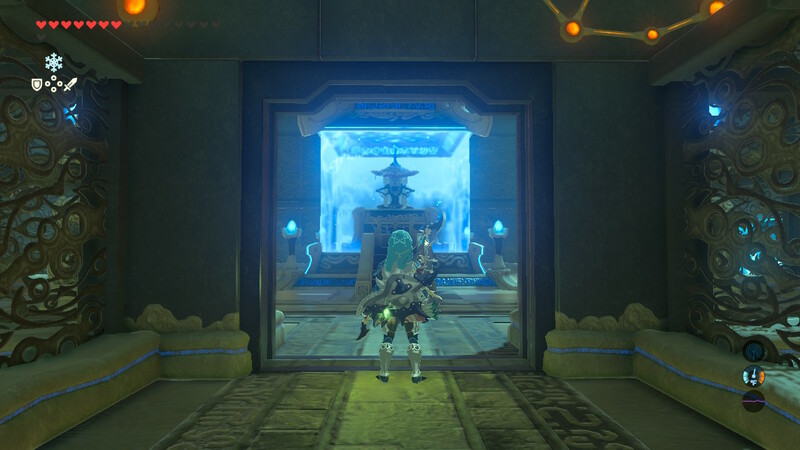 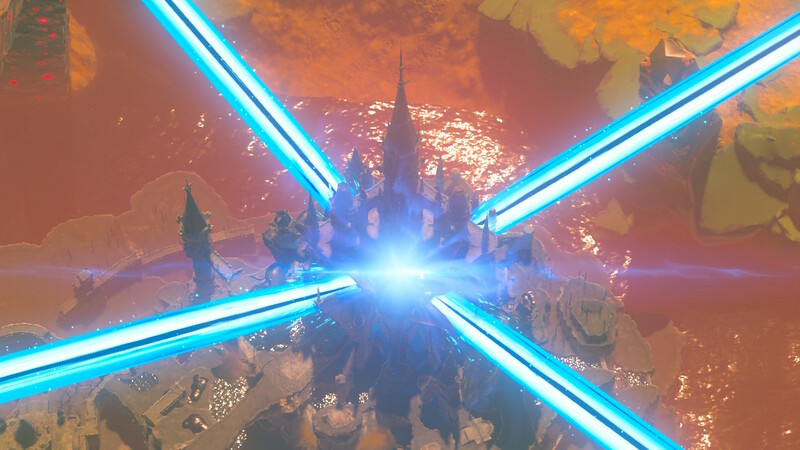 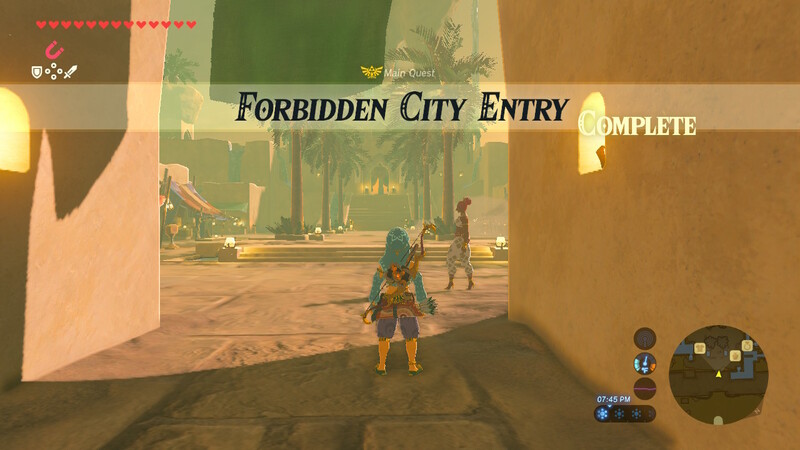 Breath of the Wild, however, has few dungeons. 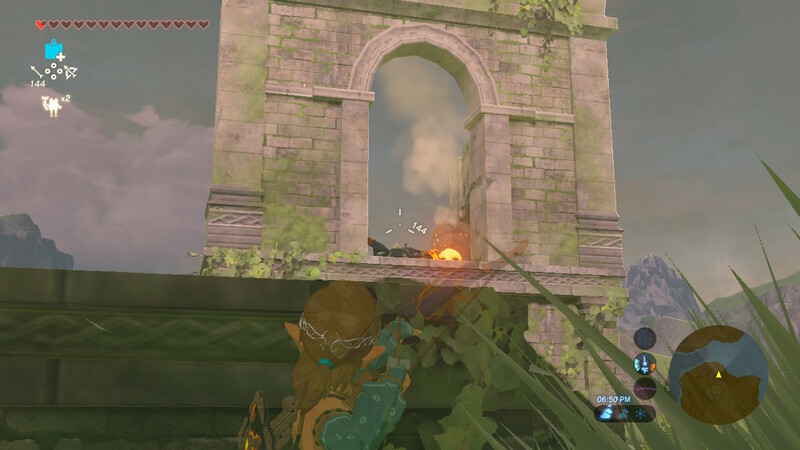 Instead we got shrines, designated areas consisting mainly of puzzles with scant enemies. 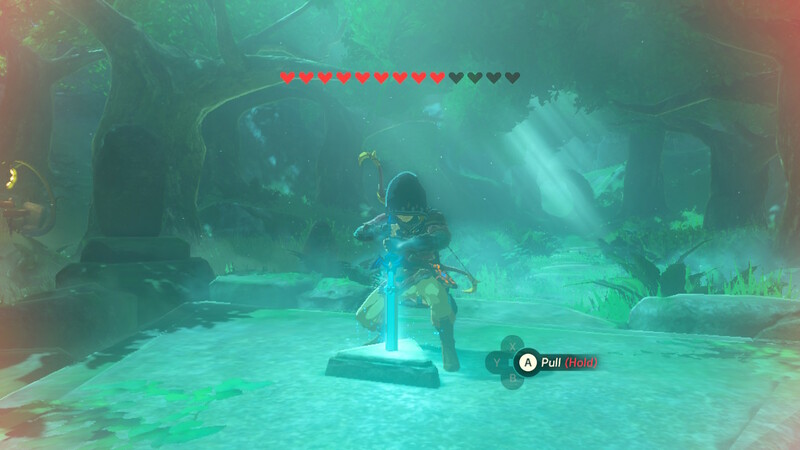 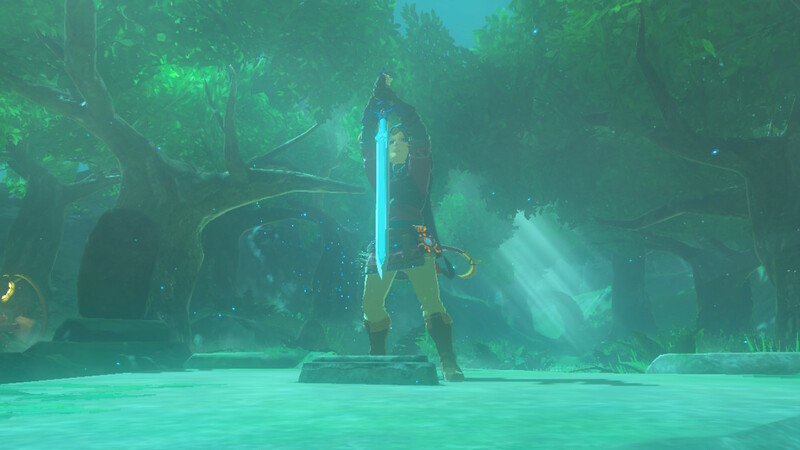 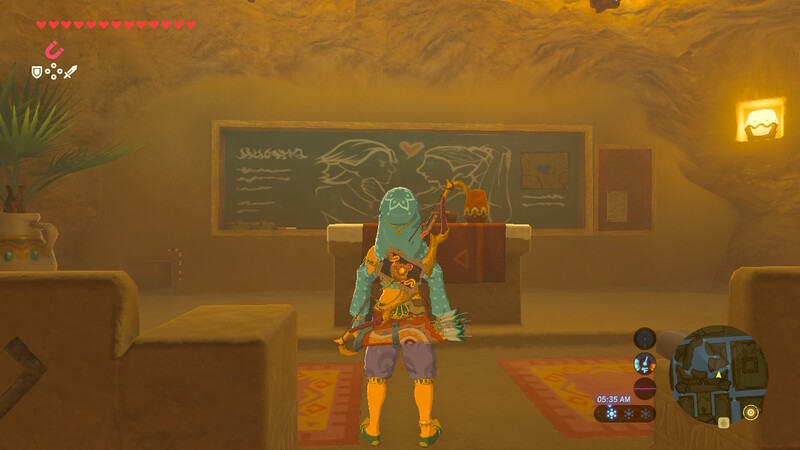 Thanks to his Sheikah Slate, Link can call upon one of several Rune skills. 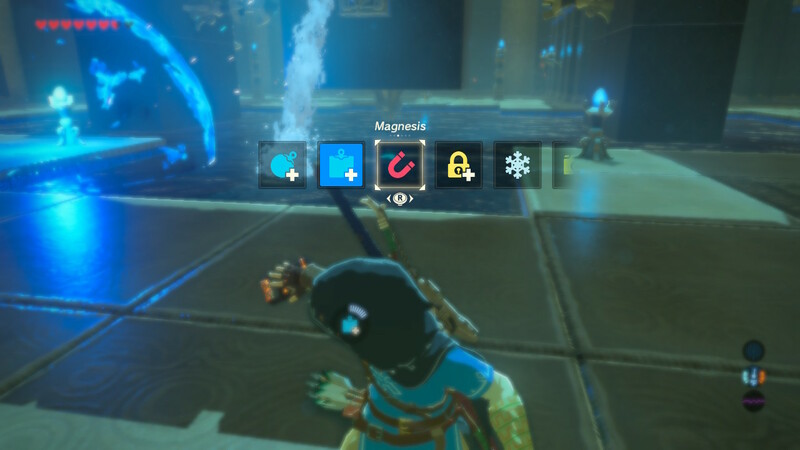 For instance, Magnesis allows Link to lift and carry metallic objects using magnetic energy. 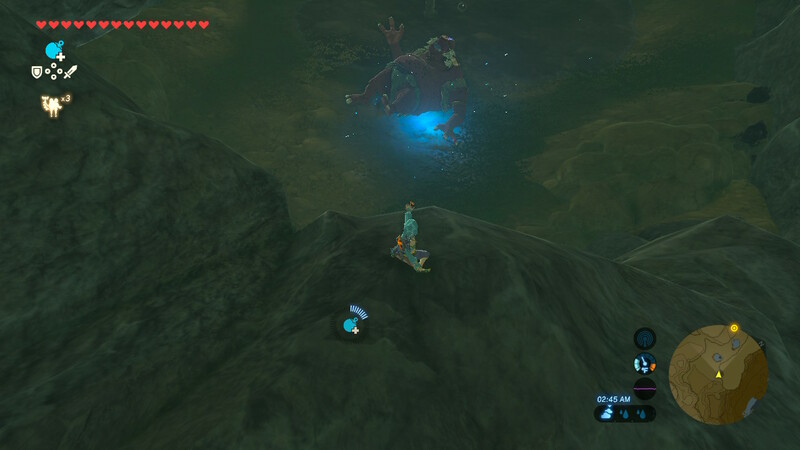 Better not land on him and disrupt his slumber! 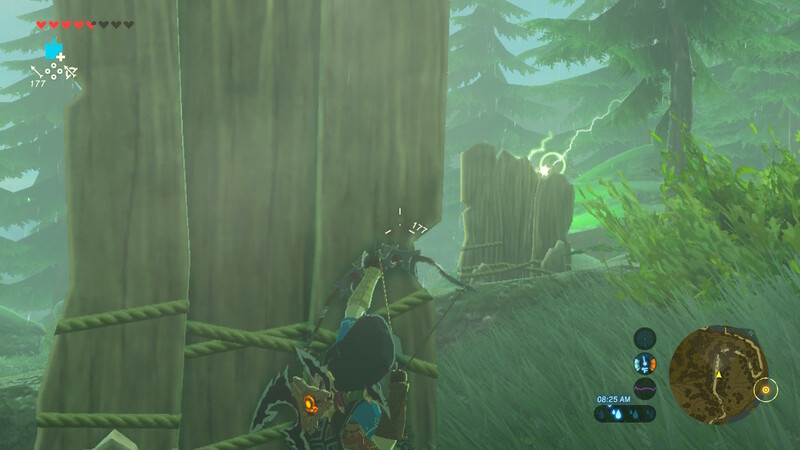 Arrow play felt so satisfying. 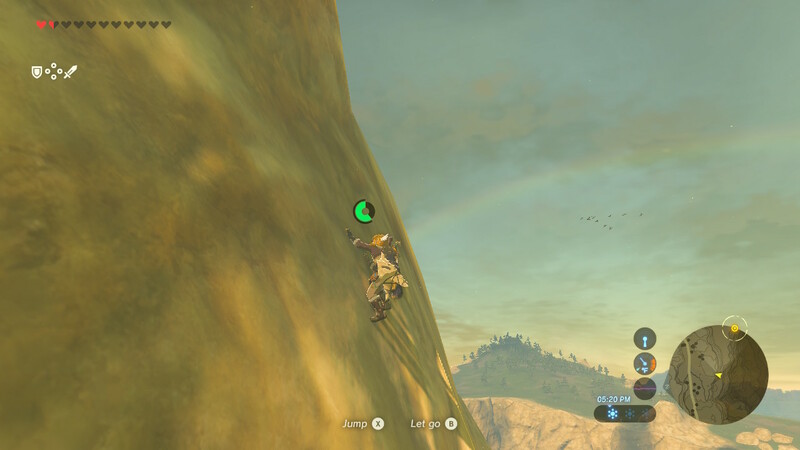 Check the rainbow! 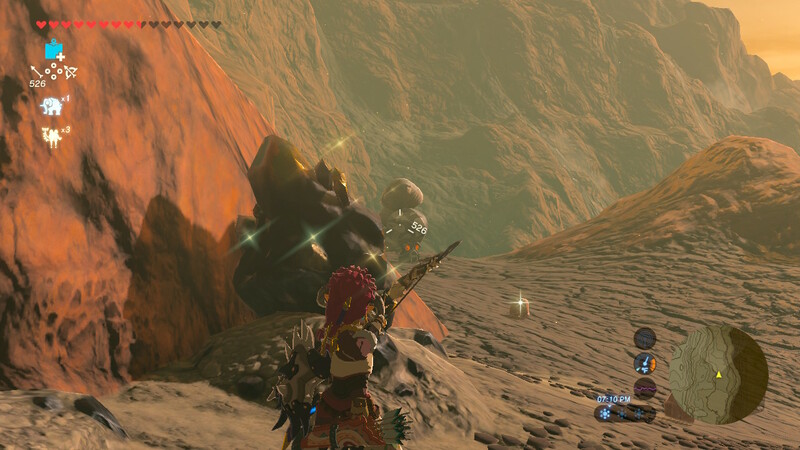 Crystallized rocks contain goodies. 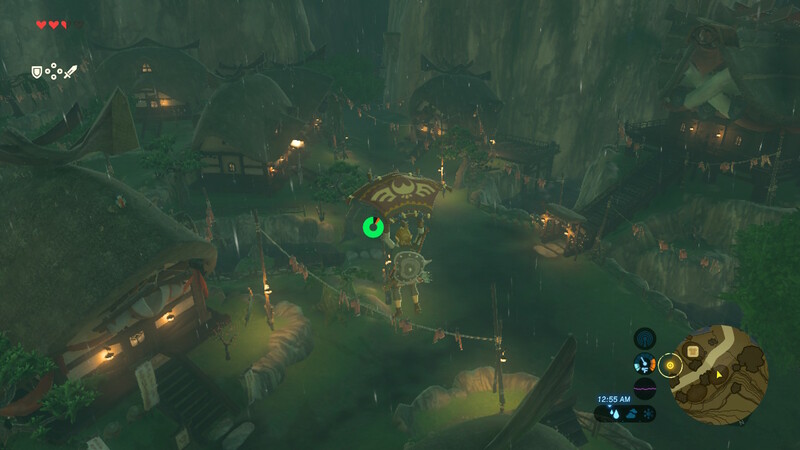 Ooh, shrine! 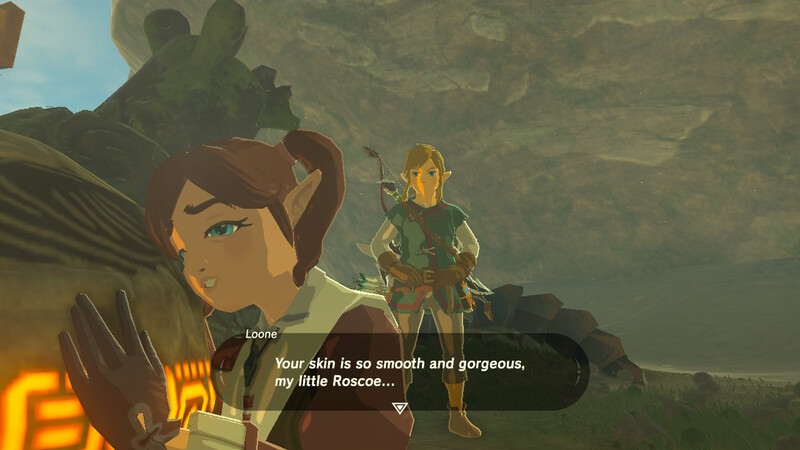 These are always nice. 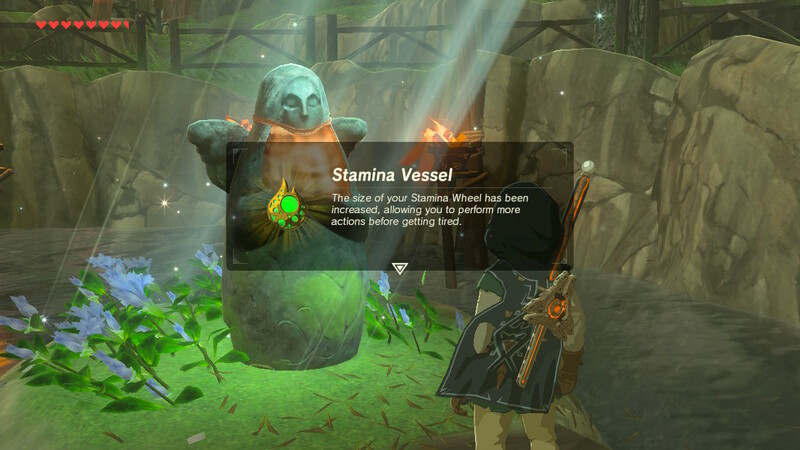 Some shrines are harder to find than others. 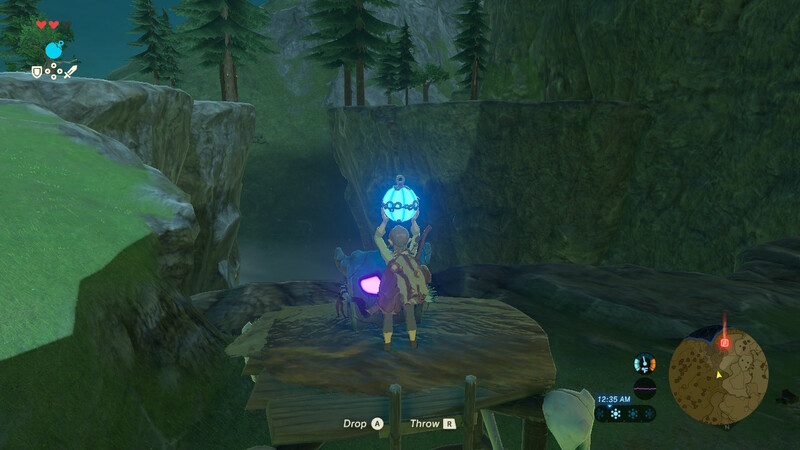 For certain ones, just finding them is considered good enough for an automatic orb. 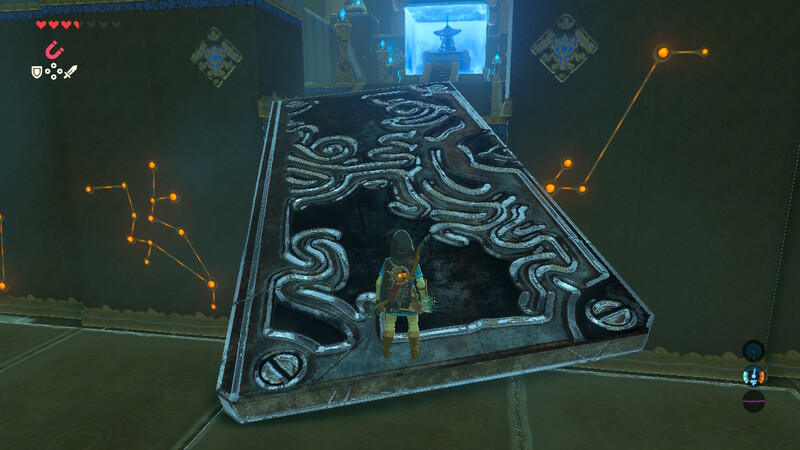 No puzzles inside. 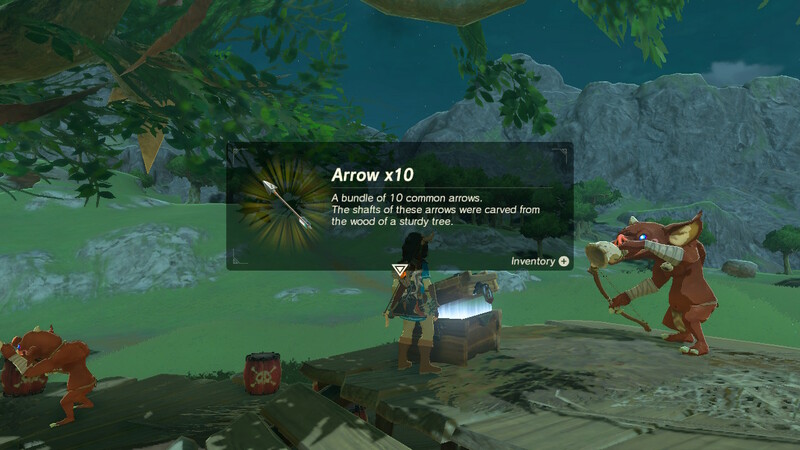 Hey, I’ll take it! 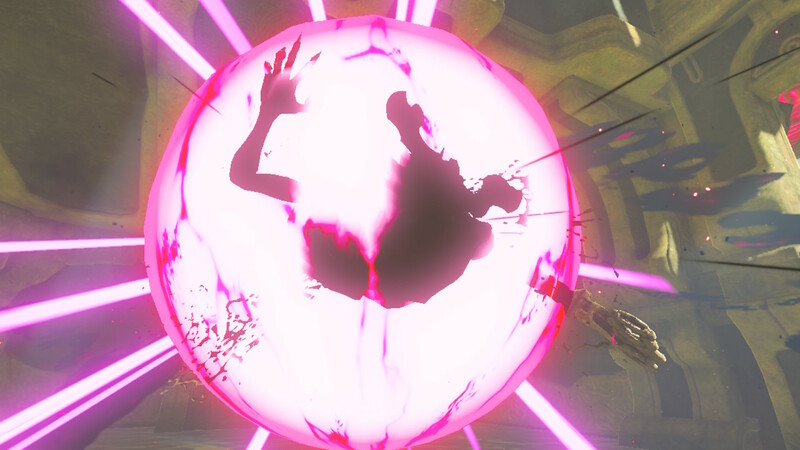 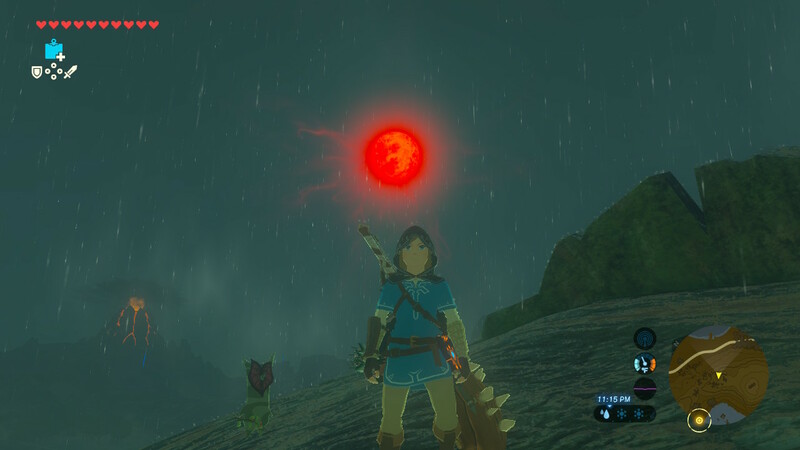 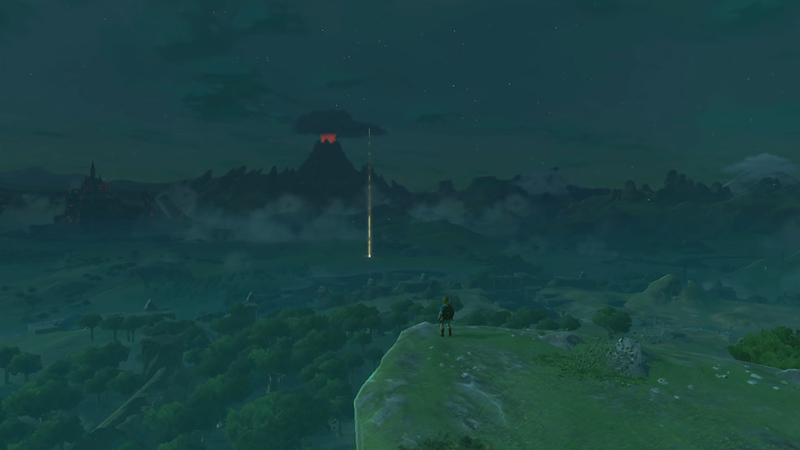 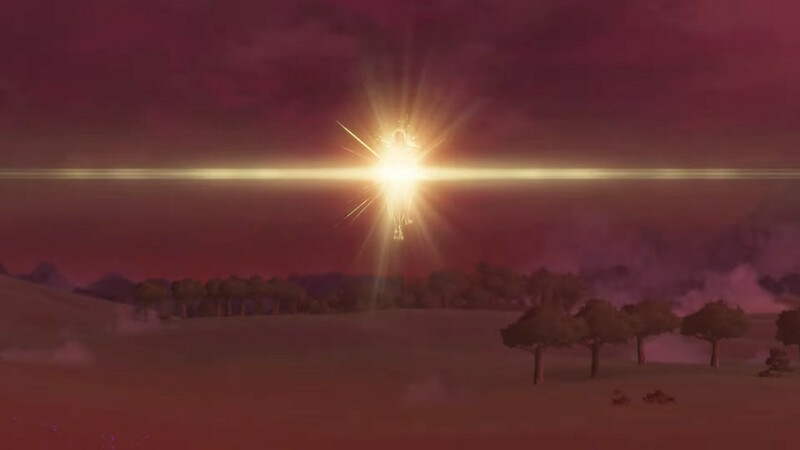 Eerie and dramatic, the Blood Moon is an occasional event that occurs in the world of Hyrule. 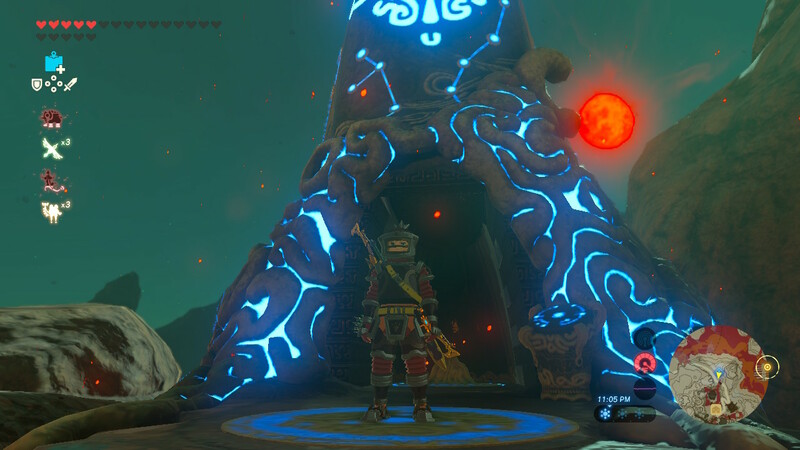 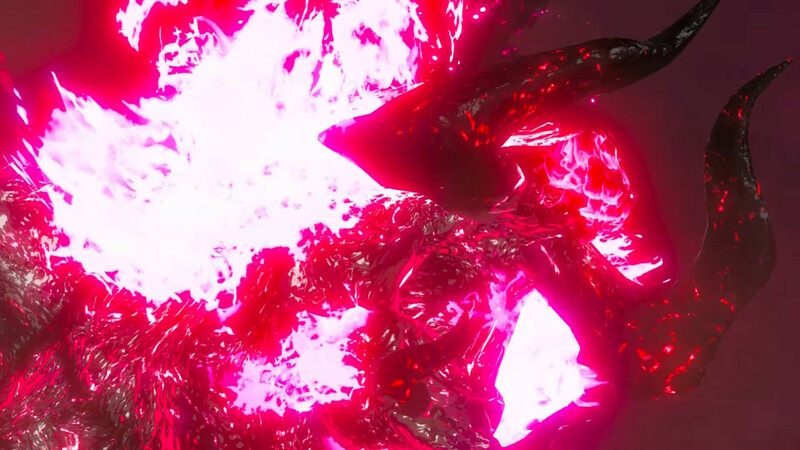 By the red glow of the Blood Moon, slain enemies respawn. 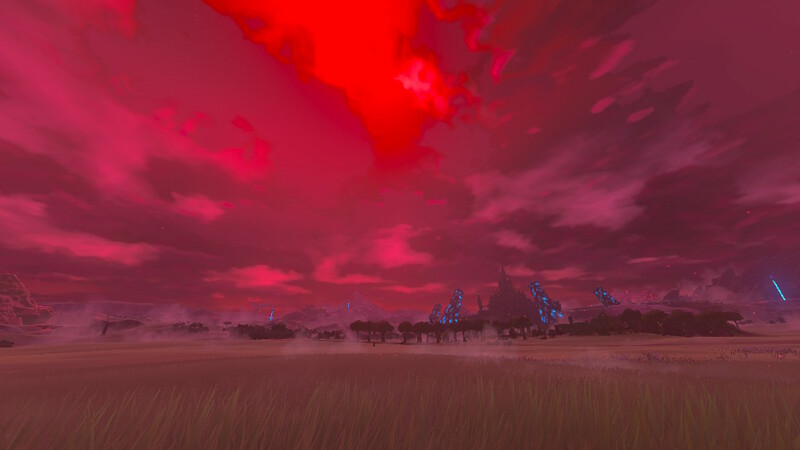 I’ll never forget the first time I heard that creepy music as a crimson red consumed the screen and ashes rose into the blood soaked sky. 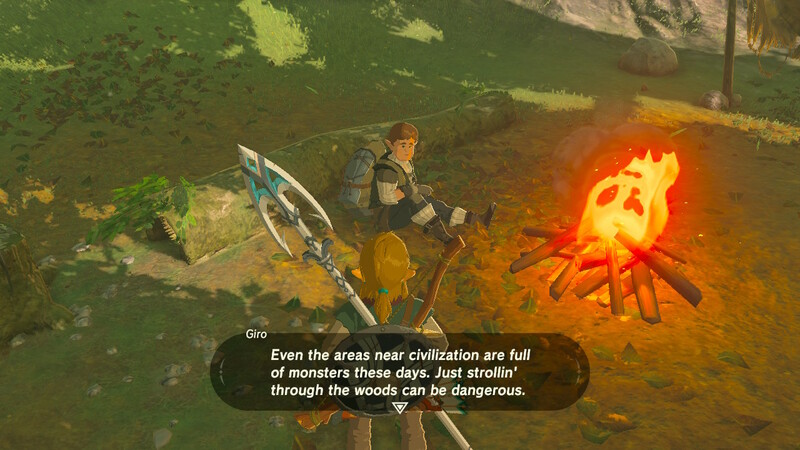 Where’s Godzilla when you need him eh? 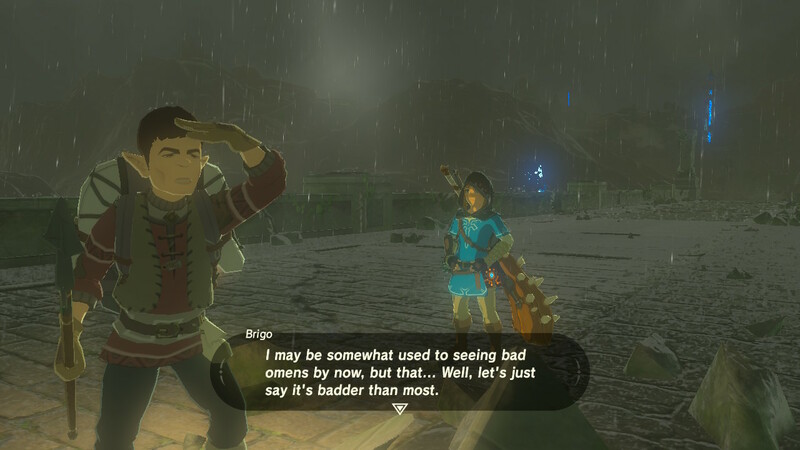 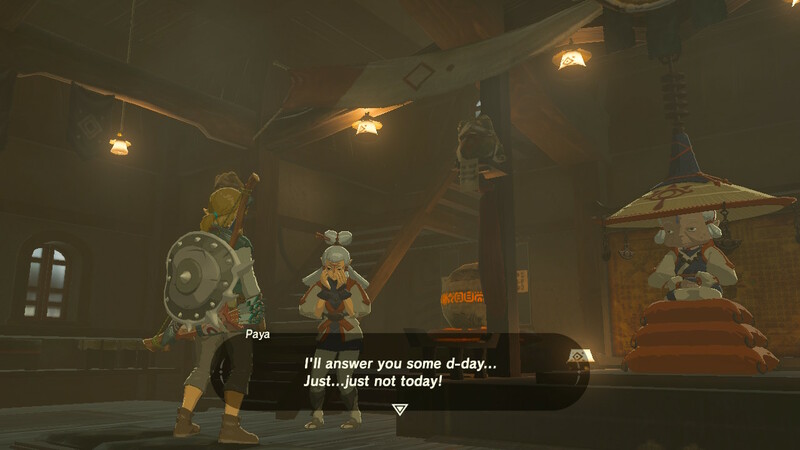 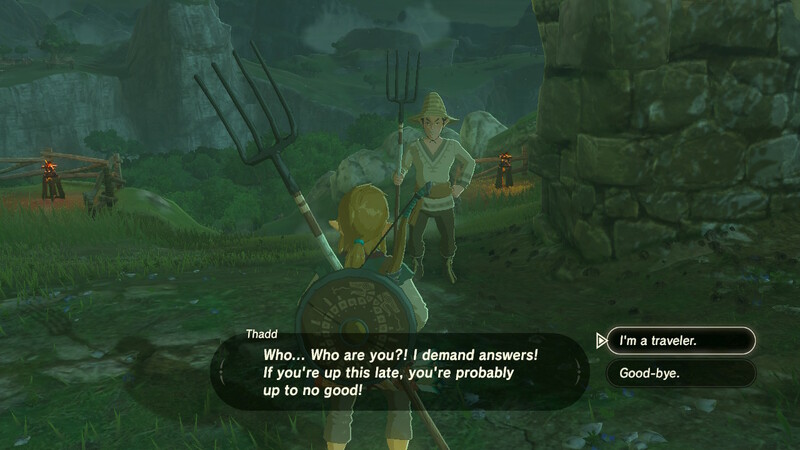 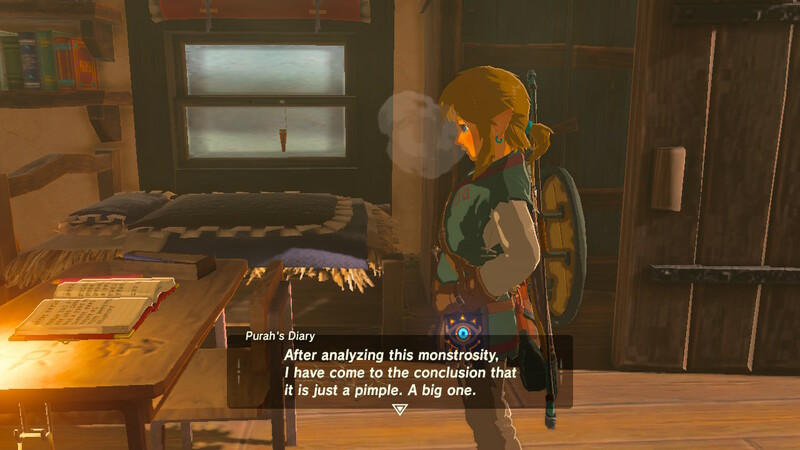 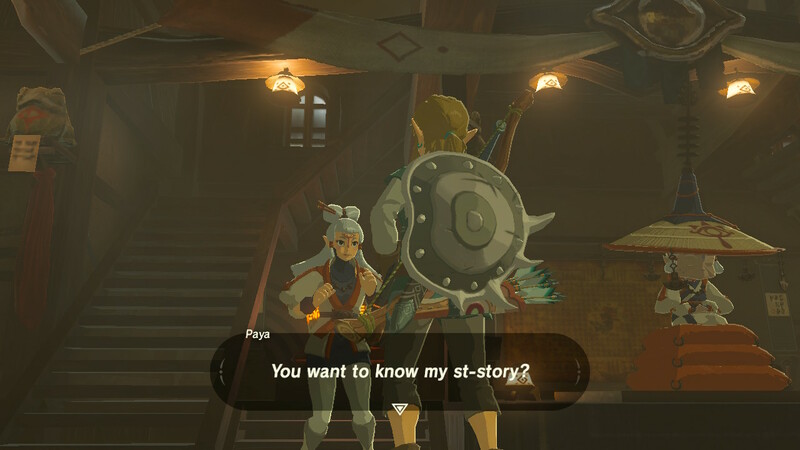 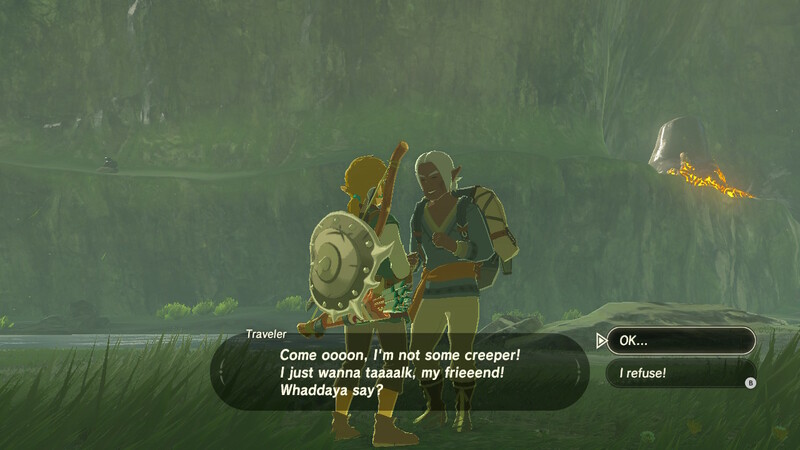 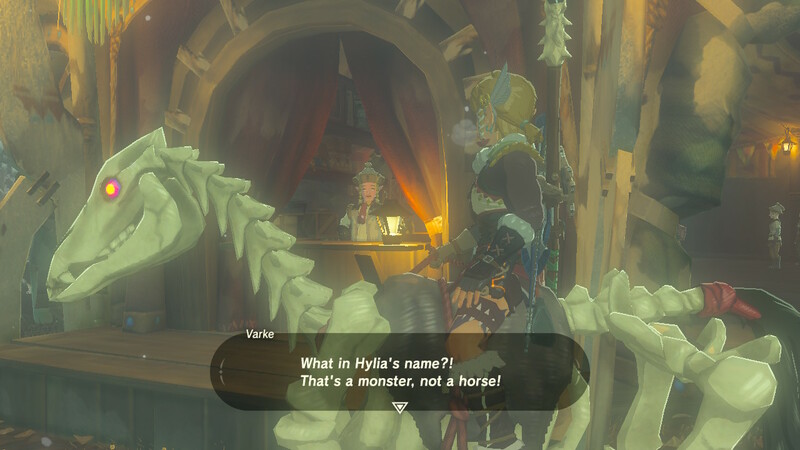 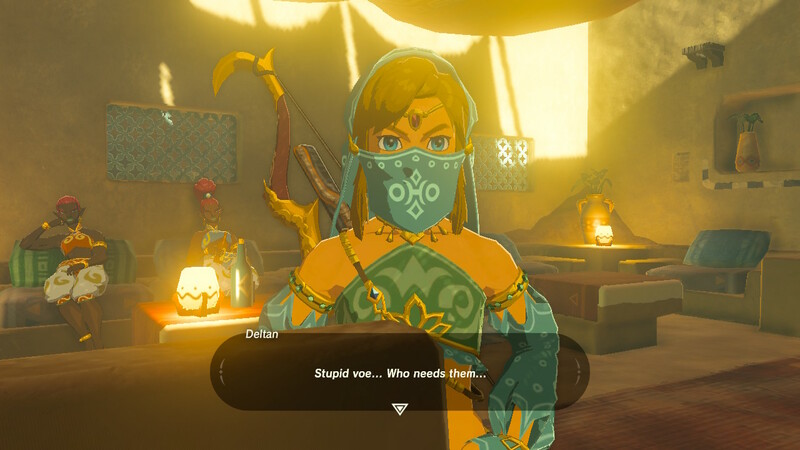 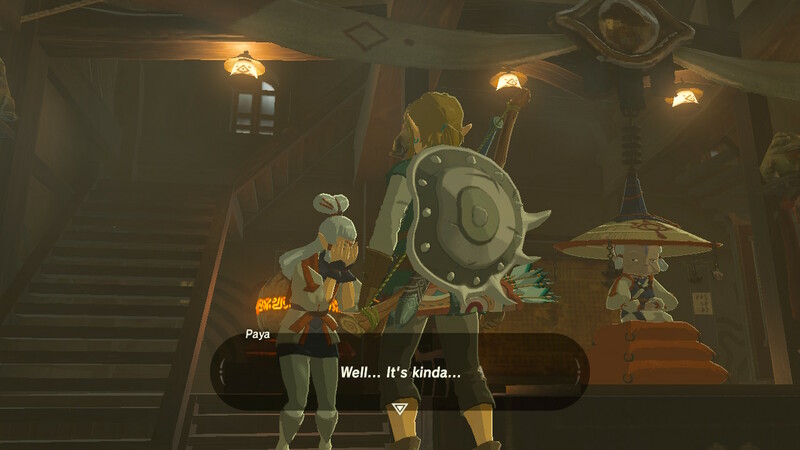 Link’s no stranger to that! 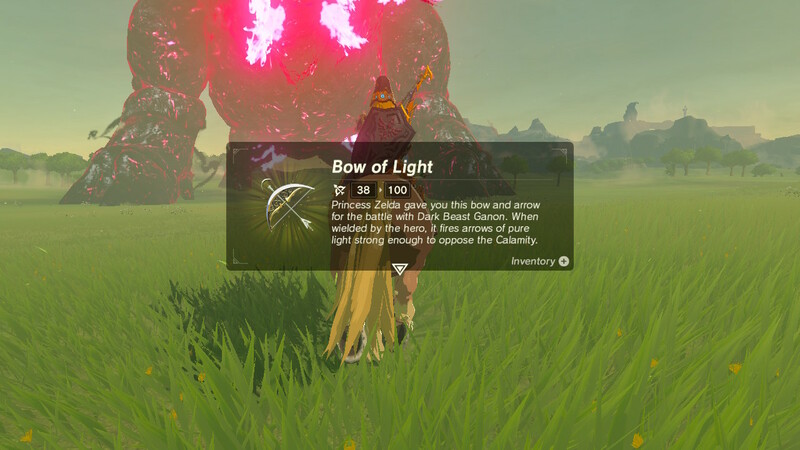 YOU GOT THE TOUCH — YOU GOT THE POWER — YEAH! 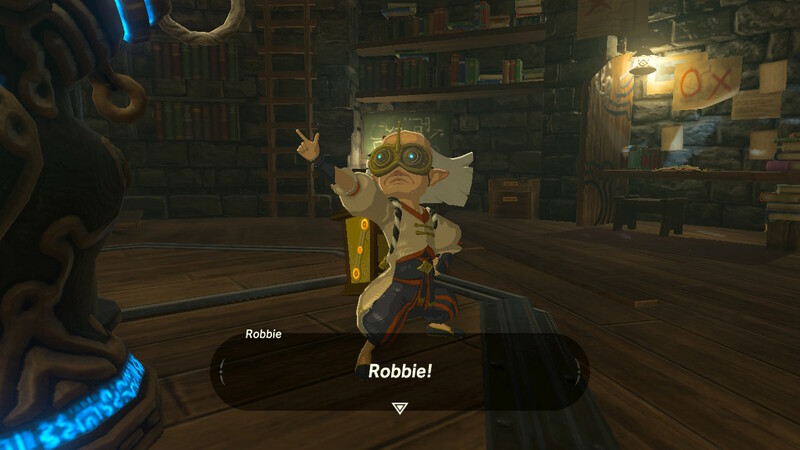 Looks like Robbie wants to go to WrestleMania! 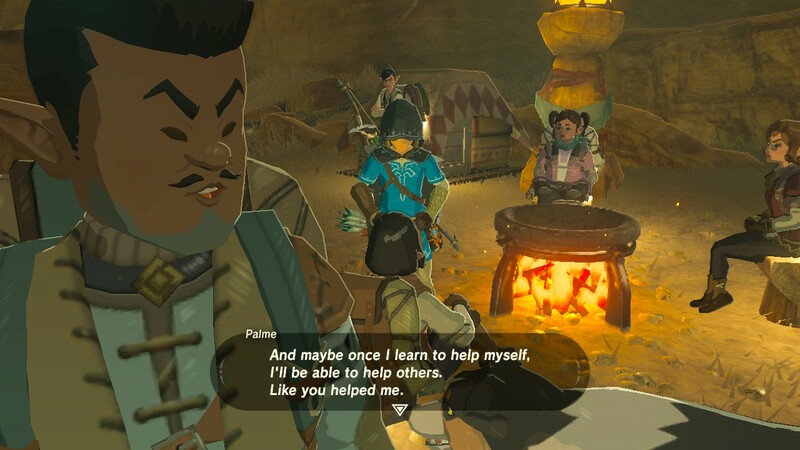 Sure am glad he’s a friend and not a foe! 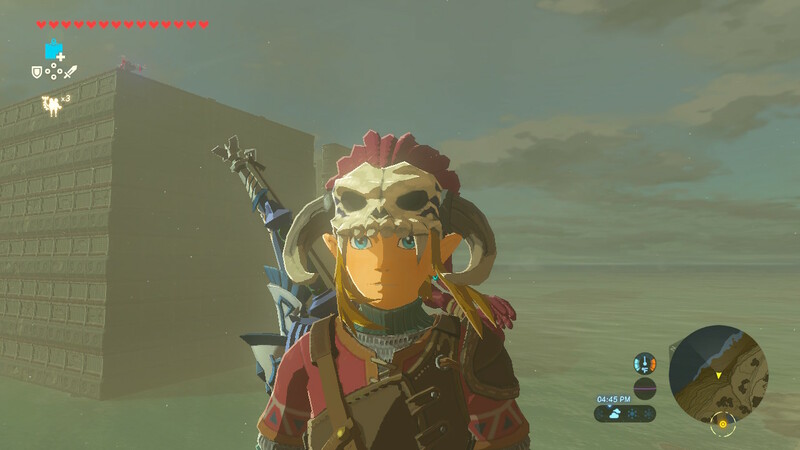 Cool headgear, but what’s in that huge weird building? 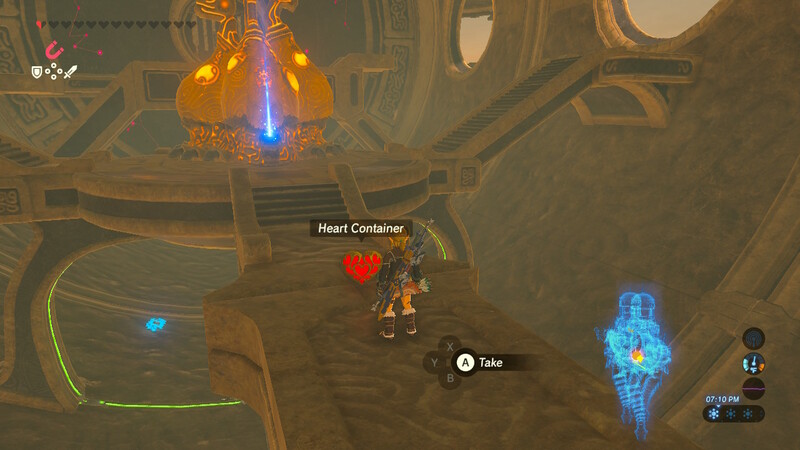 On your last heart — yikes! 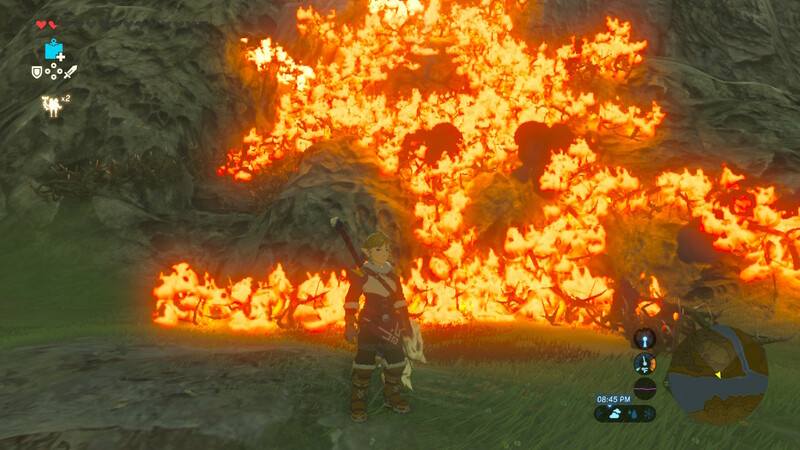 Seth Rollins would be proud: BURN IT DOWN! 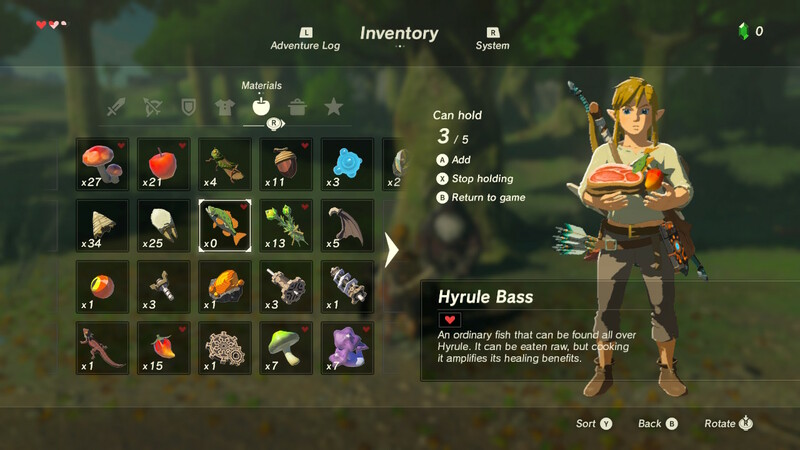 Where’s Kevin Bacon ah screw it, we got Link! 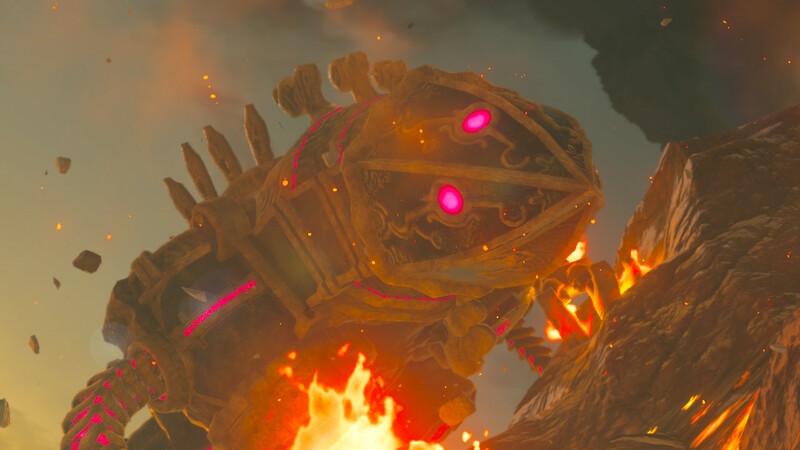 Most hated enemy. 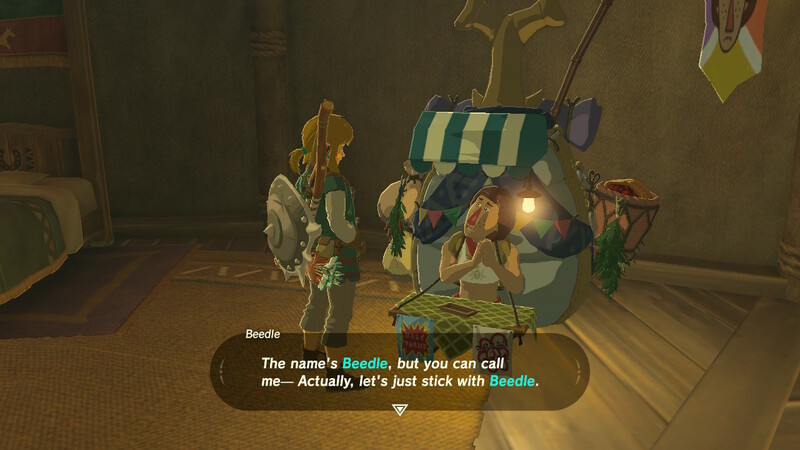 Line that sucker up! 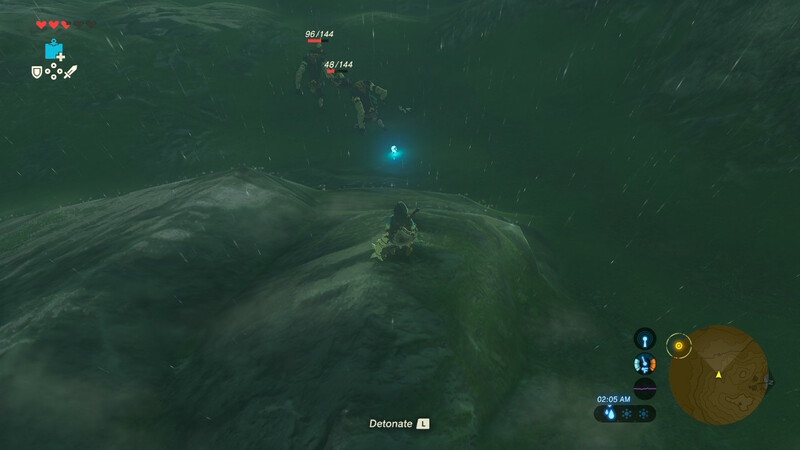 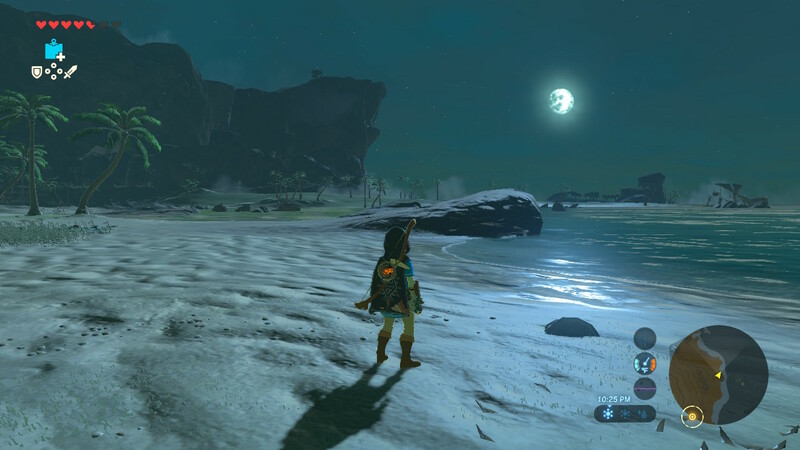 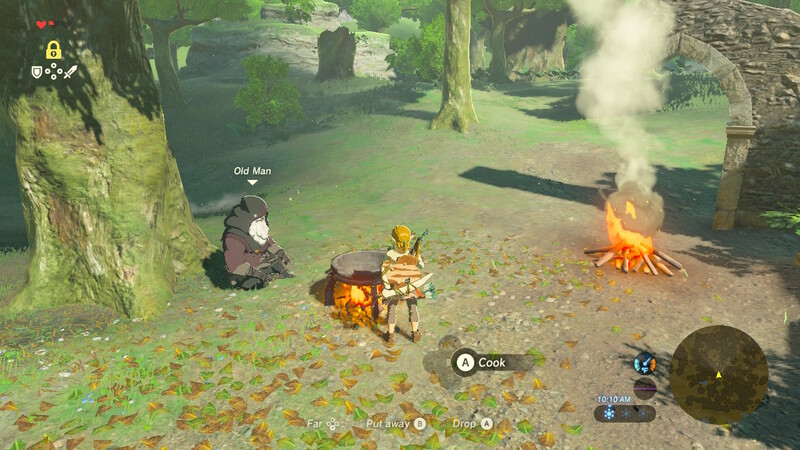 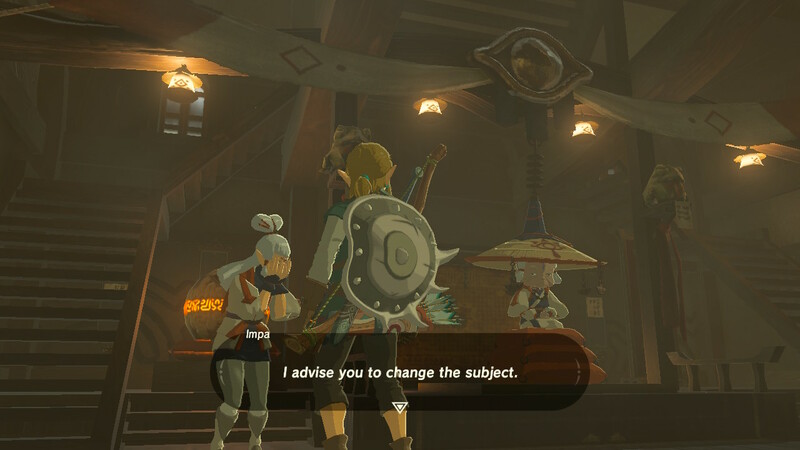 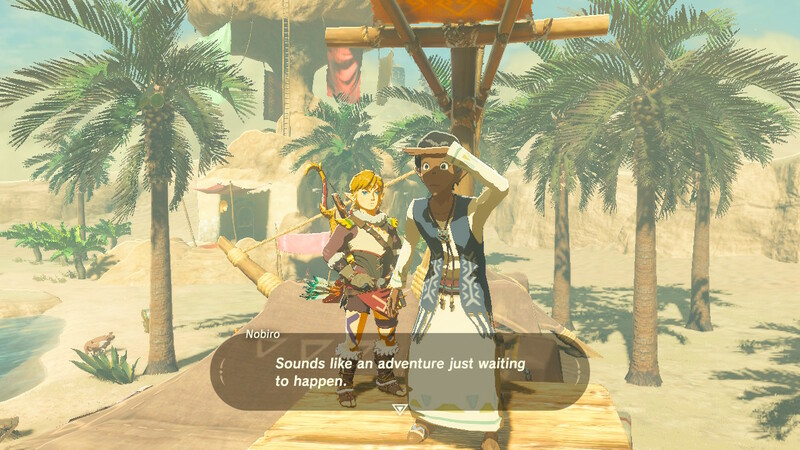 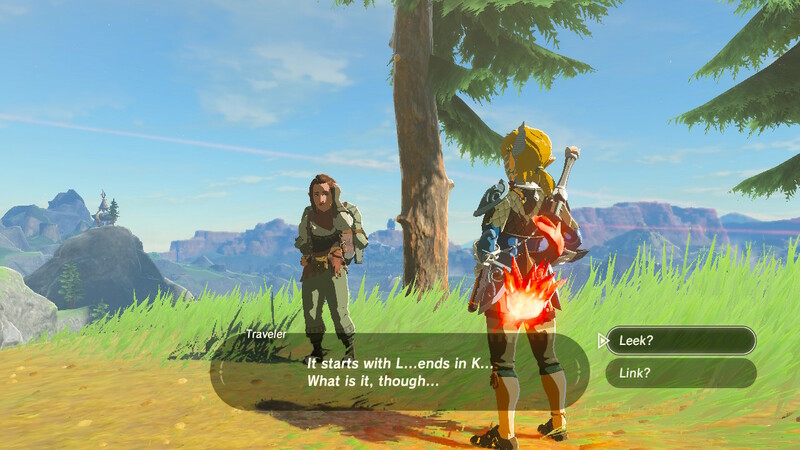 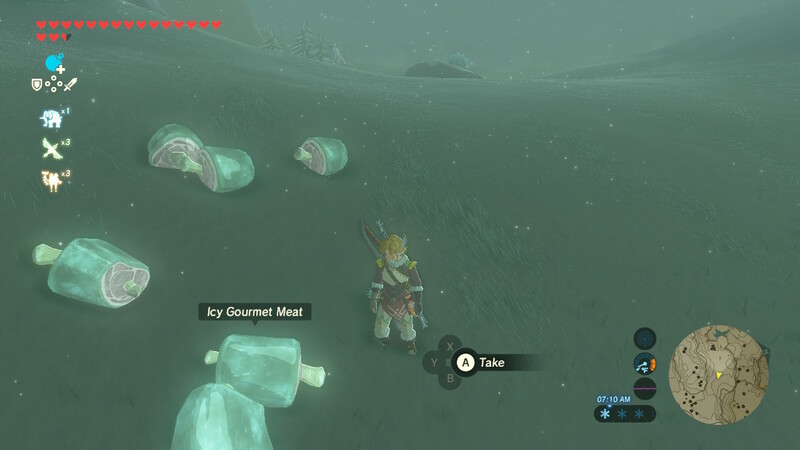 Like frying an egg on the sidewalk on a scorching hot day, in Breath of the Wild you can drop meat on a frosty surface and it will become “Icy Gourmet Meat.” The amount of possibilities this game offers the player is mind-blowing. 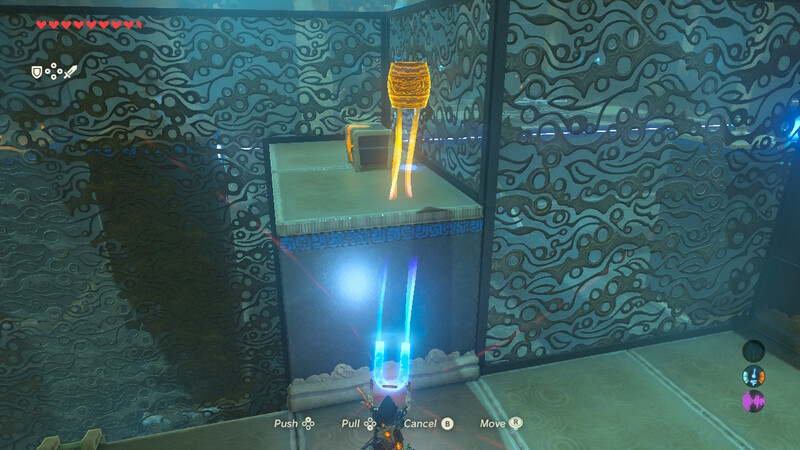 Many times I thought to myself, “This might work” and sure enough, it did. 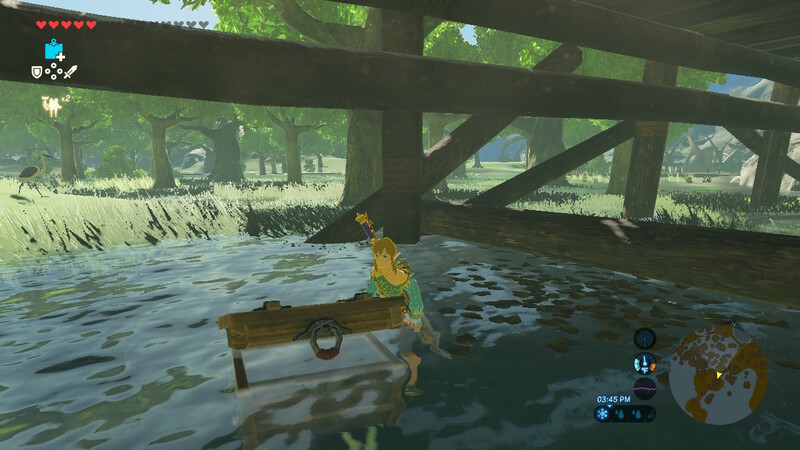 Ingenuity is off the charts here, rewarding creativity and experimentation. 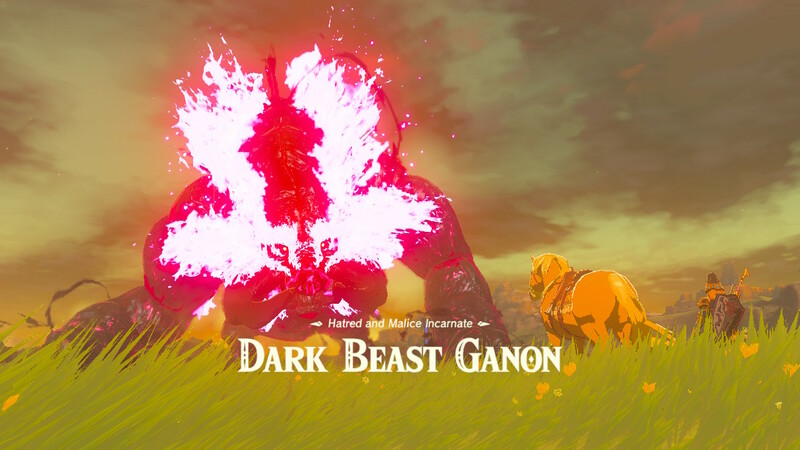 Free the final Divine Beast and it’s game on! 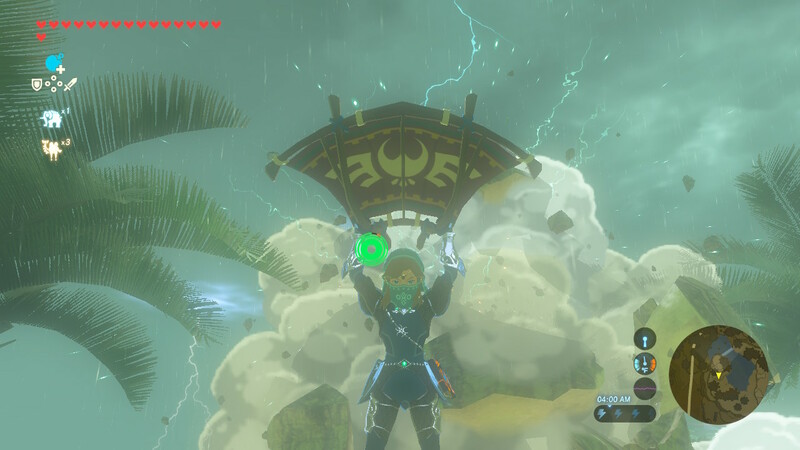 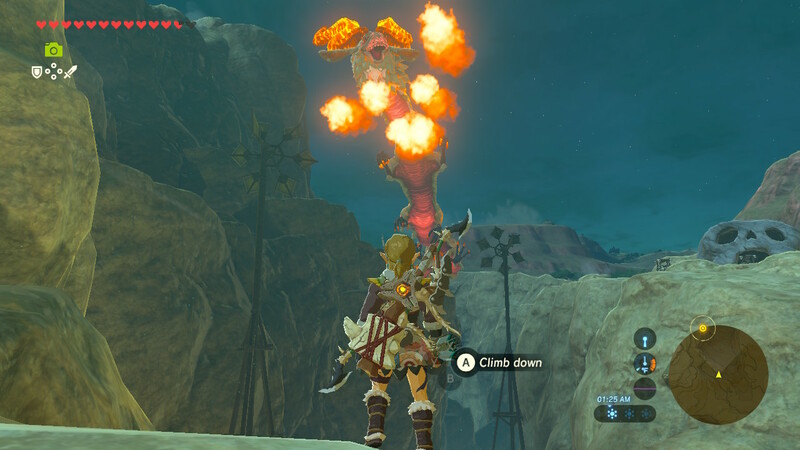 Blowing up a nest in mid-flight is badass! 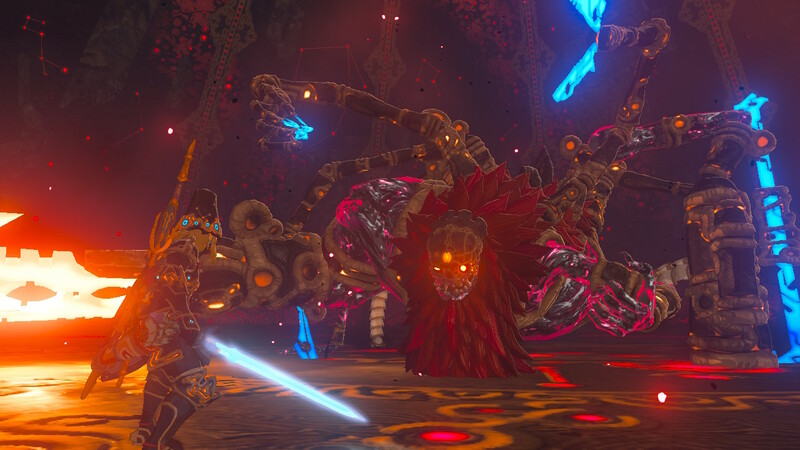 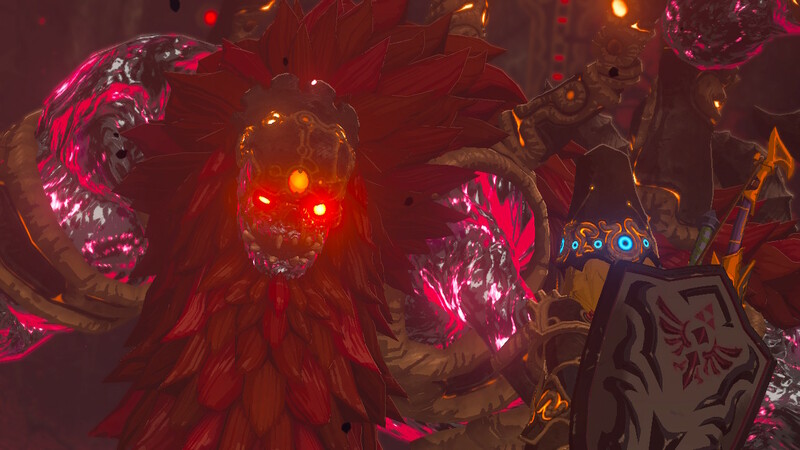 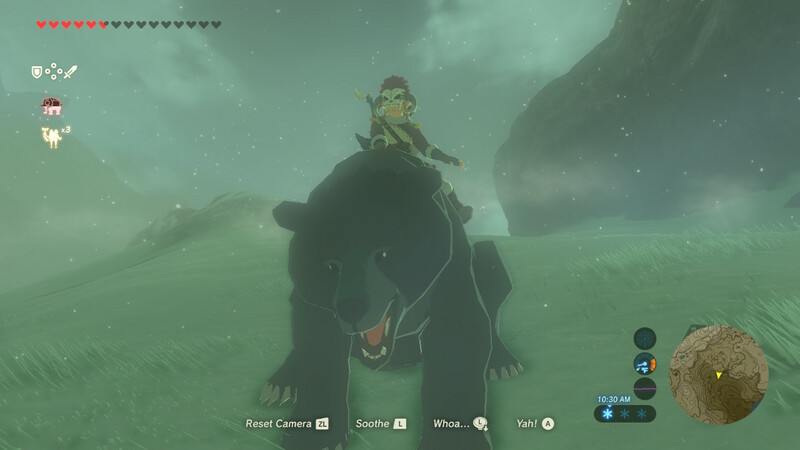 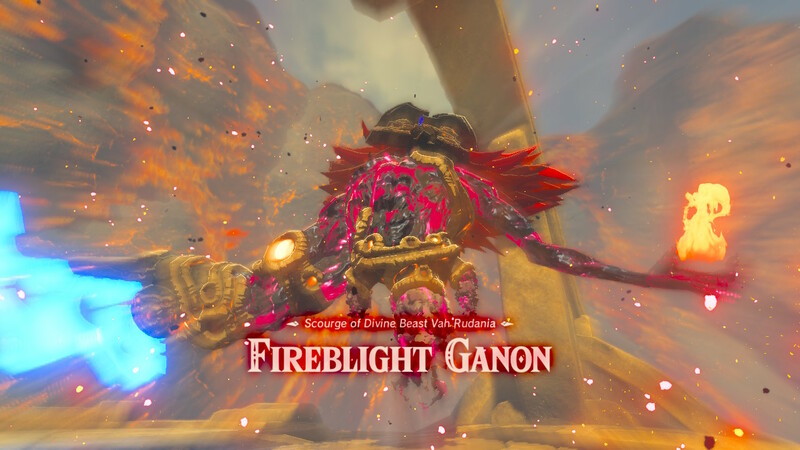 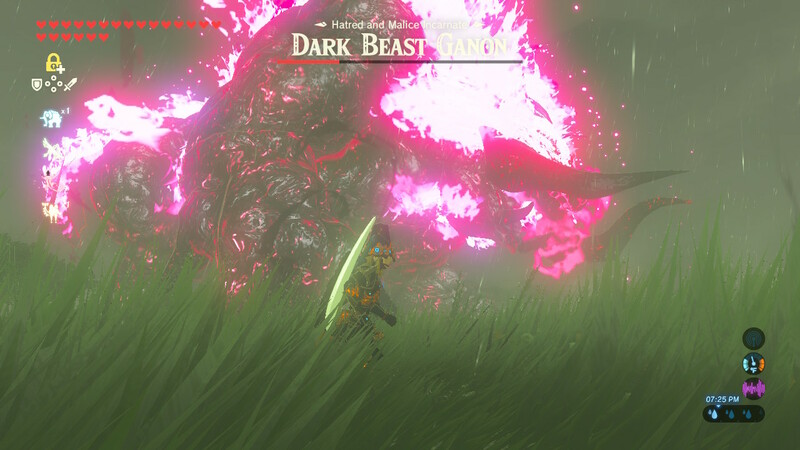 Now we’ll see what you’re made of, Ganon! 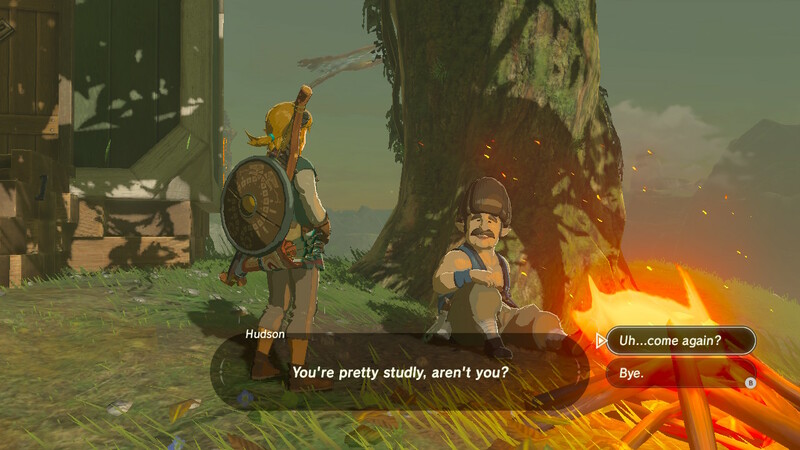 I’ve been playing video games for over 30 years now. 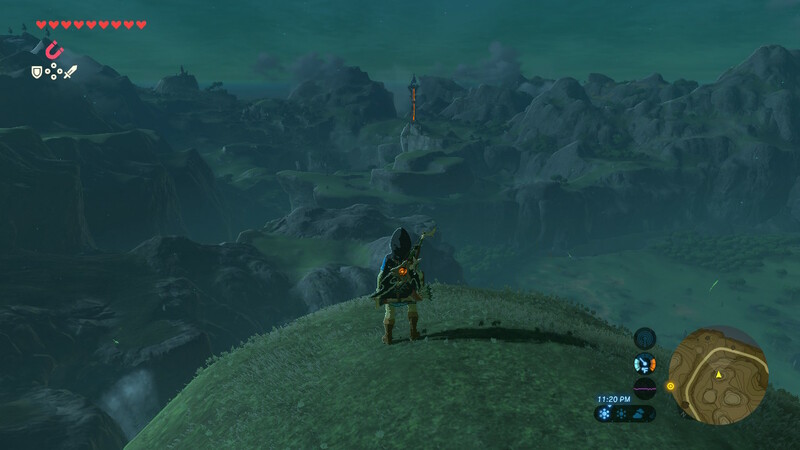 I can honestly say that The Legend of Zelda: Breath of the Wild is the longest single player campaign of my life. 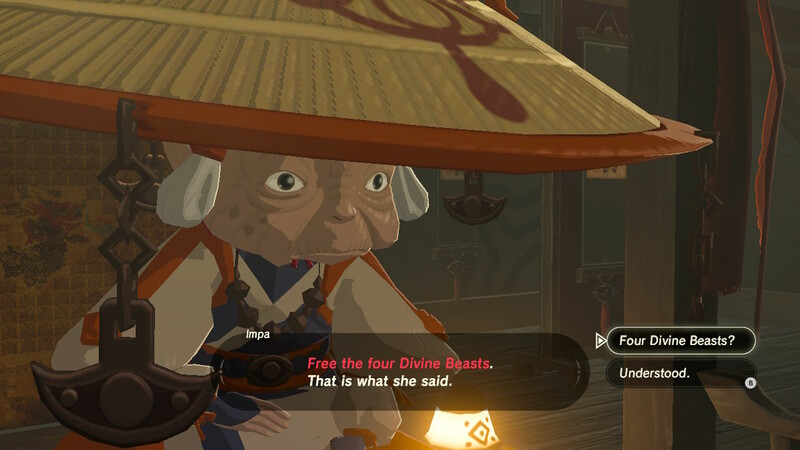 It provided me with over 210 hours of blissful entertainment. 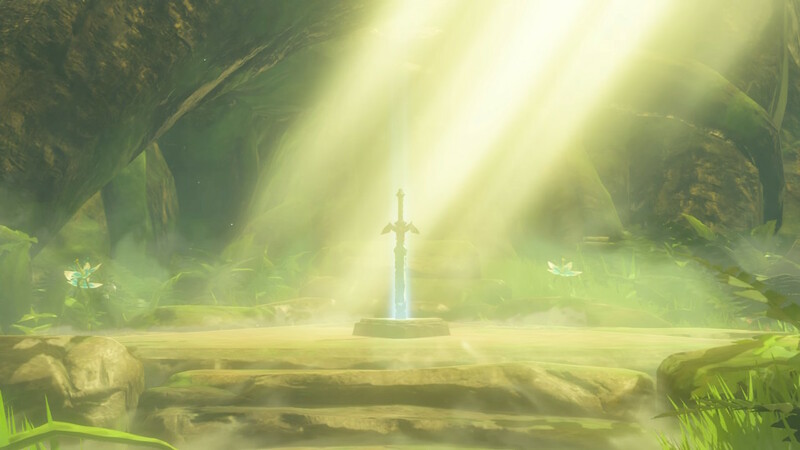 It was an insane 6 month experience… one I’ll never forget and forever cherish as one of the finest playthroughs of my gaming career. 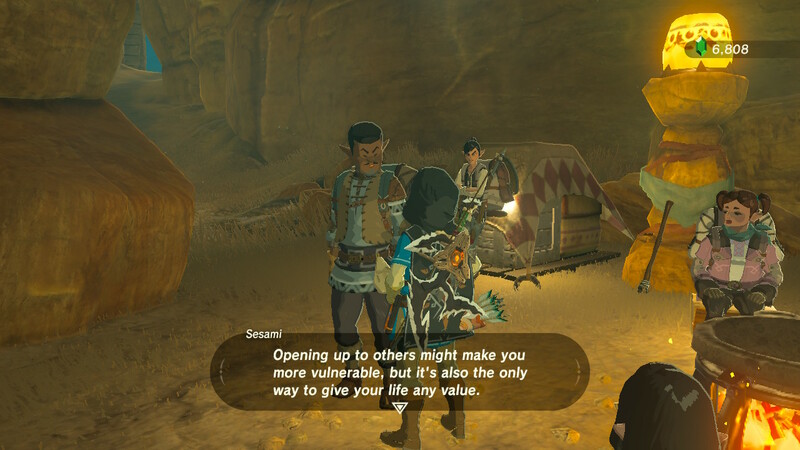 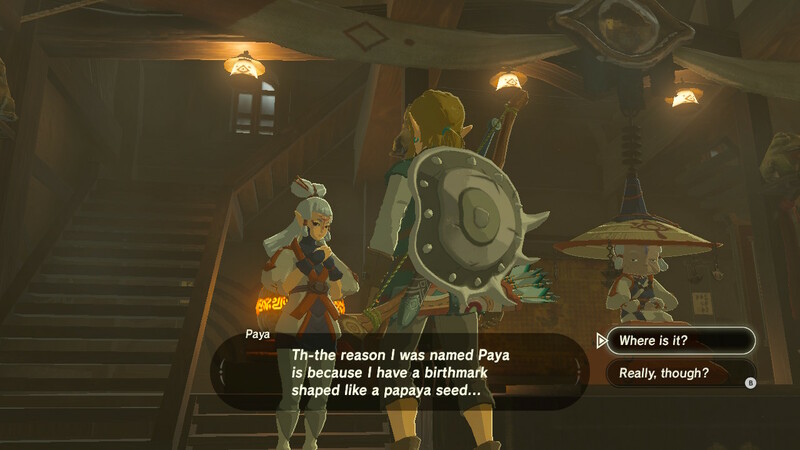 What can I add that hasn’t already been said a thousand times over in the last 2 years since Breath of the Wild came out? 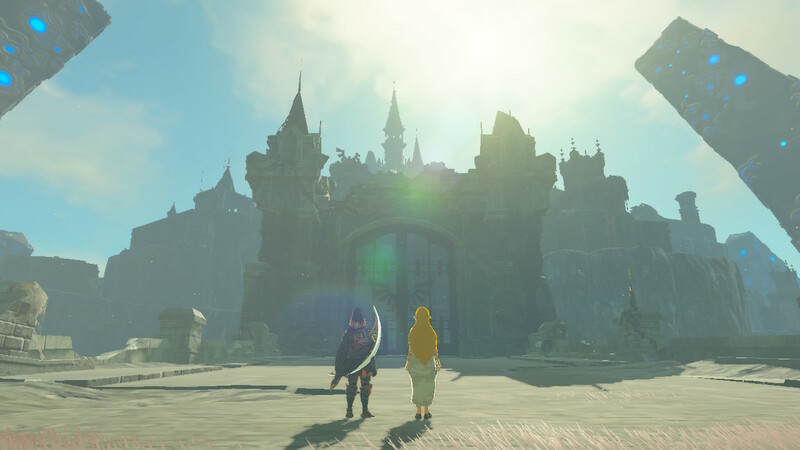 It stands out as one of the most immersive and engaging single player adventures I’ve ever played. 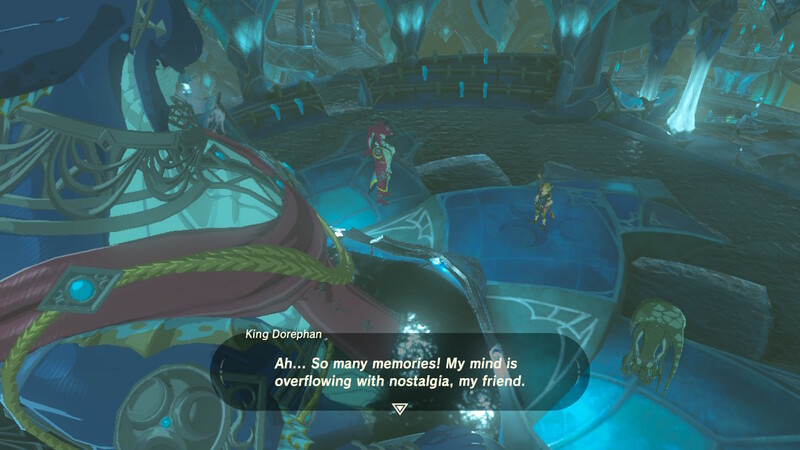 Part of me wishes I could wipe out my memories of this game so I can experience it for the first time again. 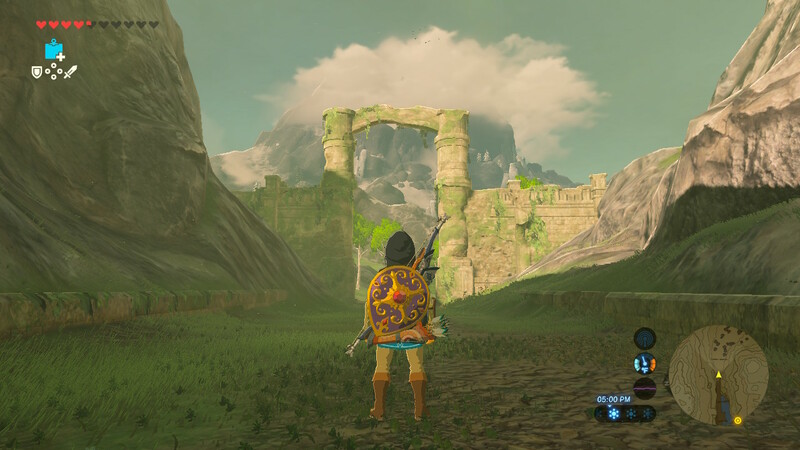 The sheer scope and scale of Link’s open world quest empowers you to forge your own path. 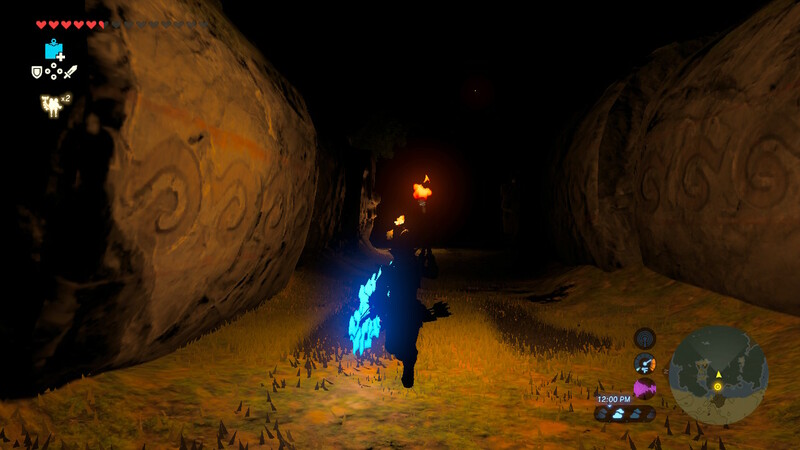 Multiple routes and multiple possibilities lay before you, truly giving the player full autonomy and power. 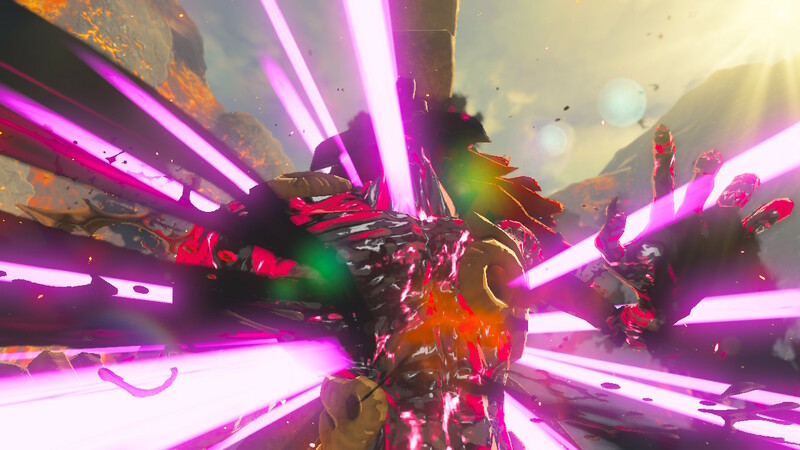 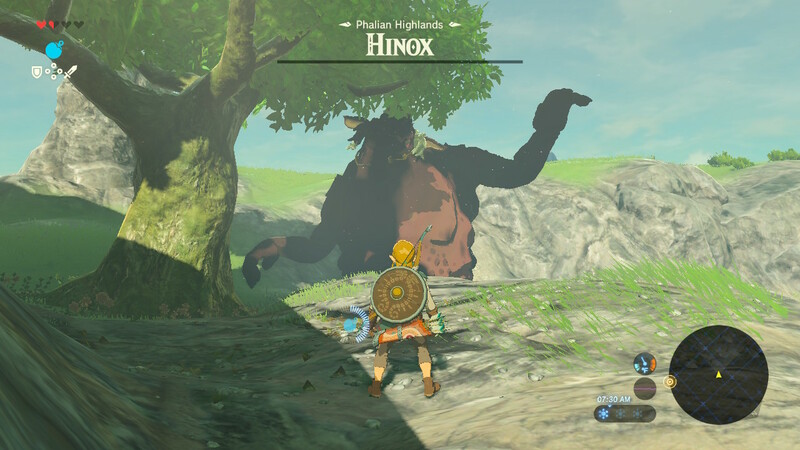 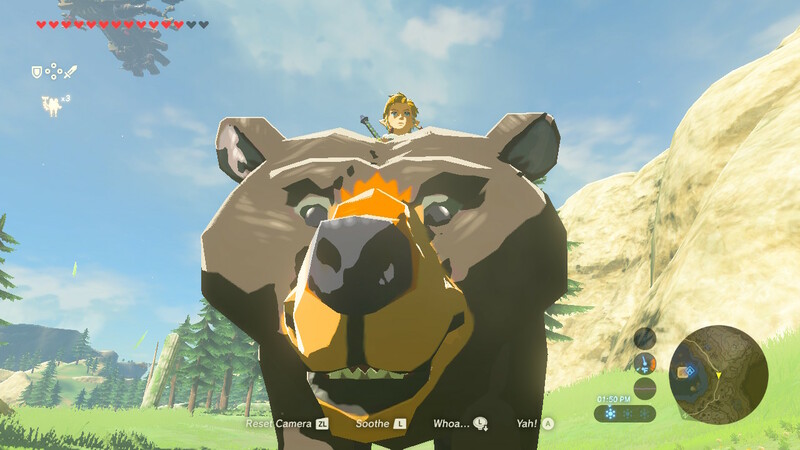 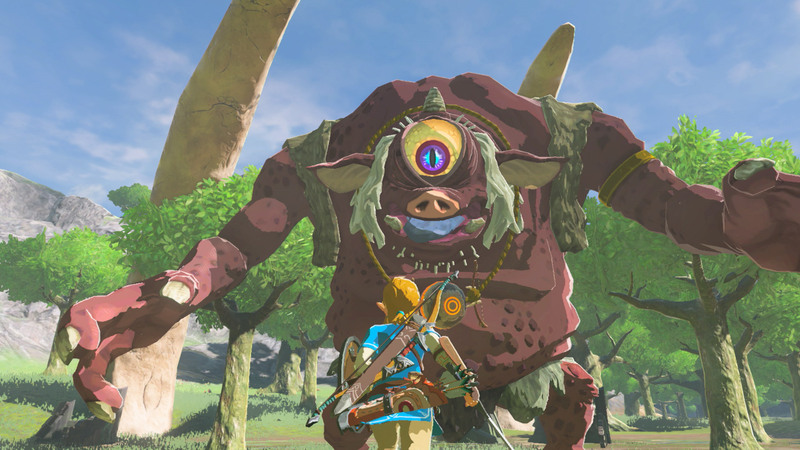 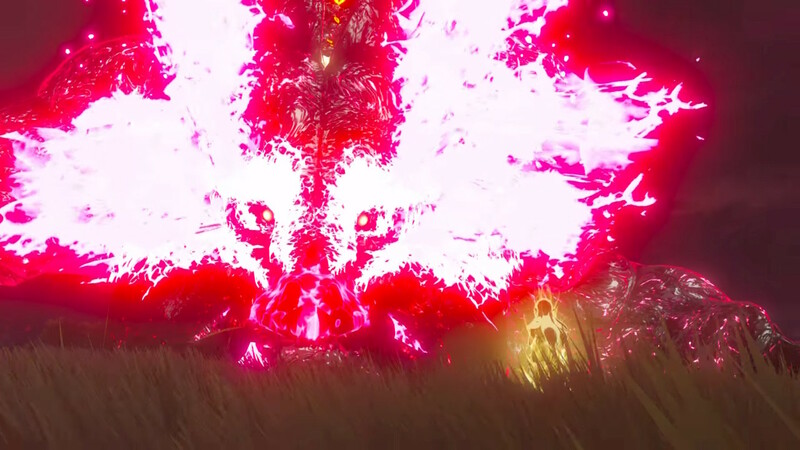 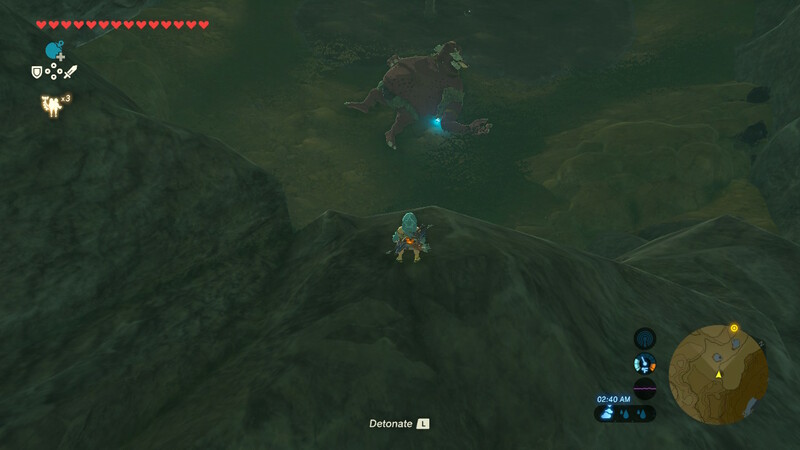 There are so many memorable moments, such as the first time you run into the Hinox monster. 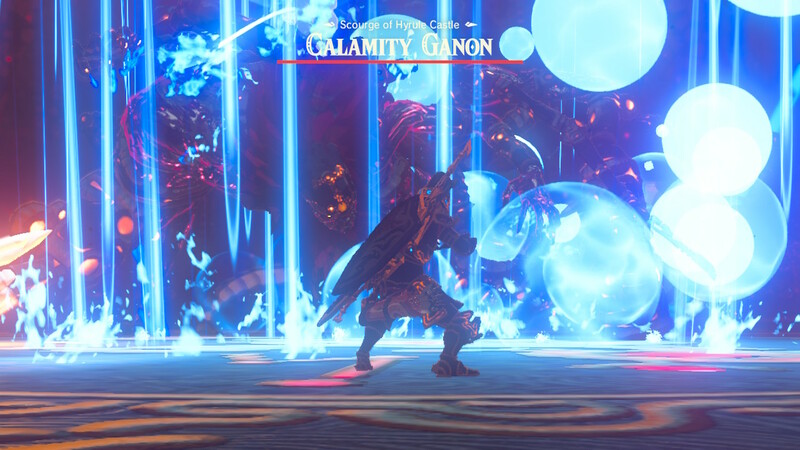 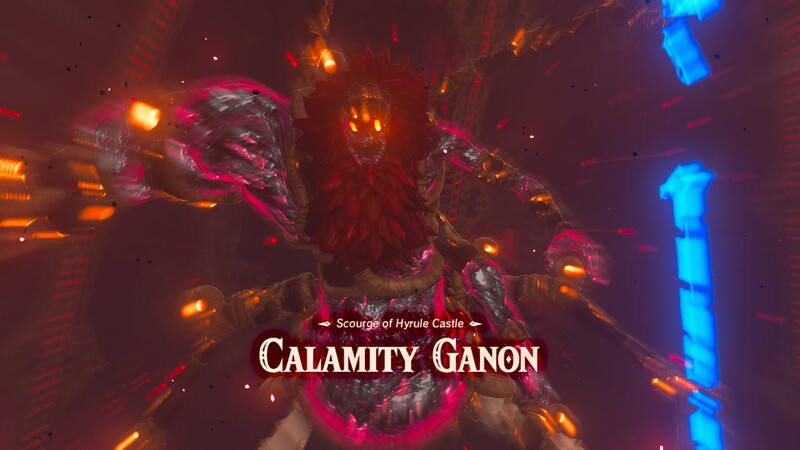 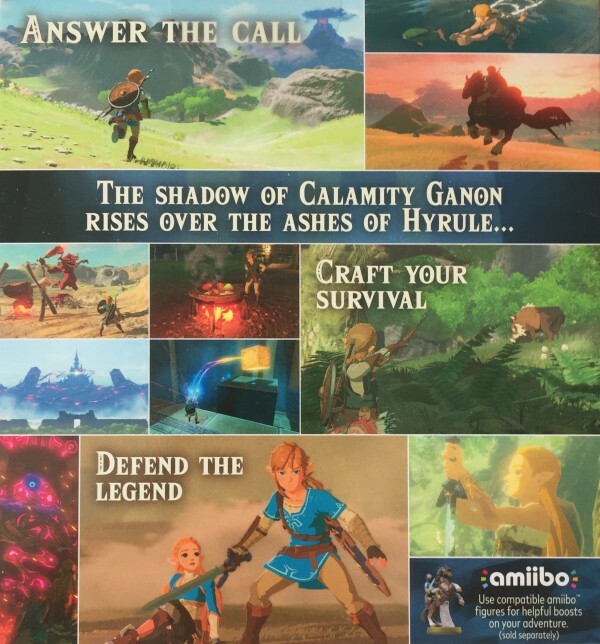 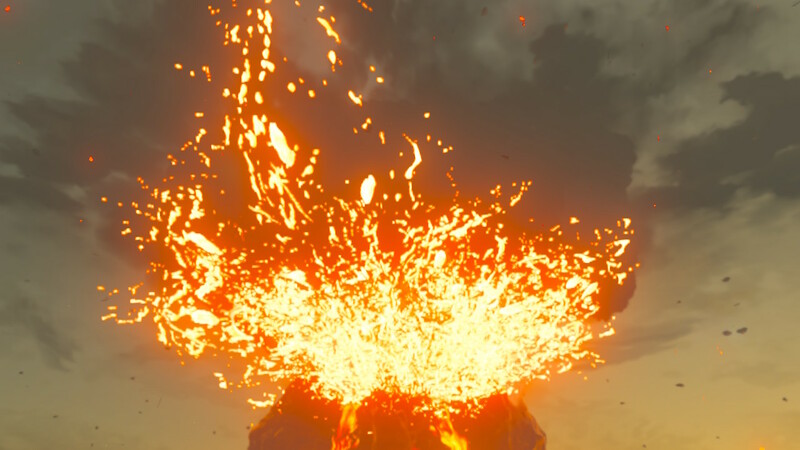 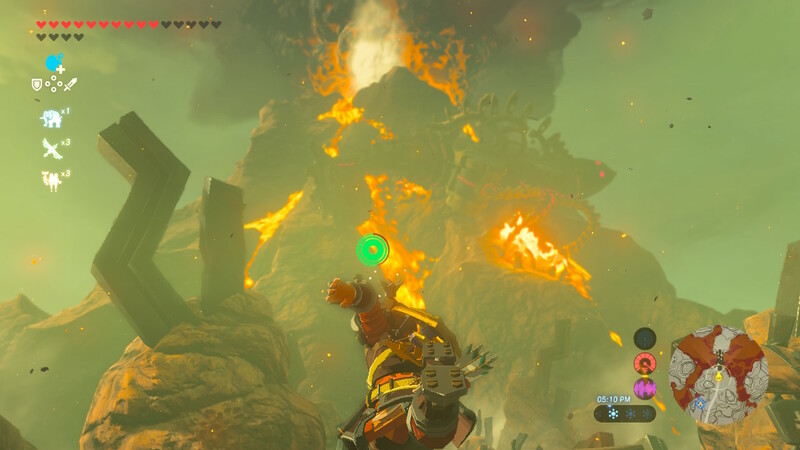 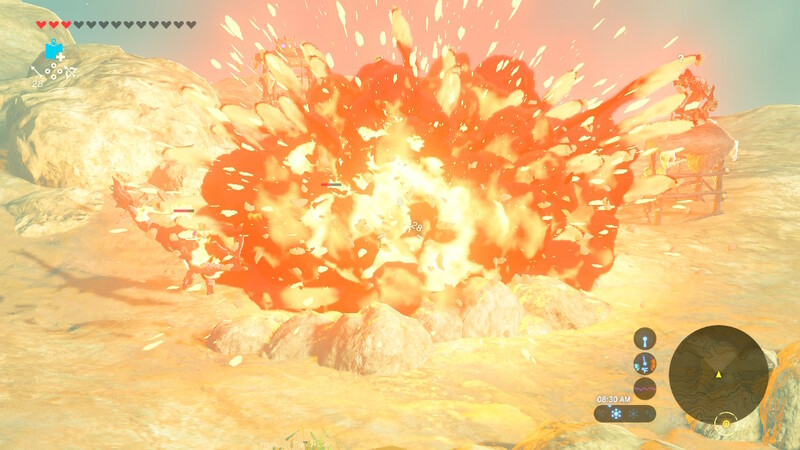 Or the first time you pierce one of the explosive barrels to blow up a nest of Bokoblins… running away and seeing the fiery explosion go off behind you in summer blockbuster fashion. 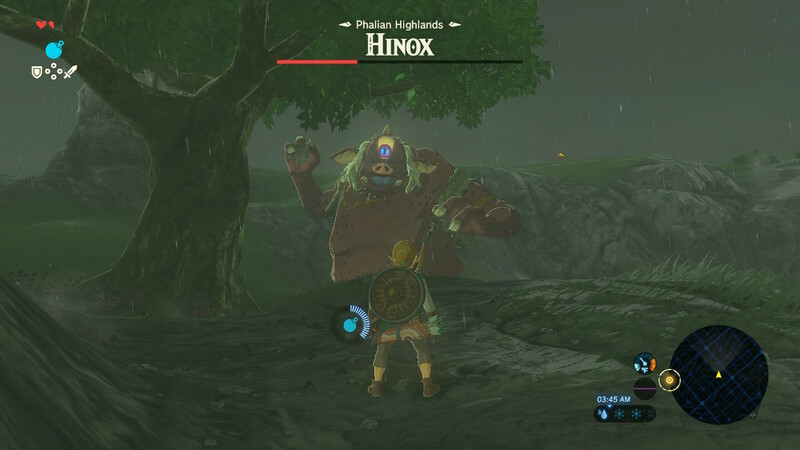 Hyrule is a living and breathing world full of fascinating creatures, vicious monsters and helpful (as well as odd) locals to interact with. 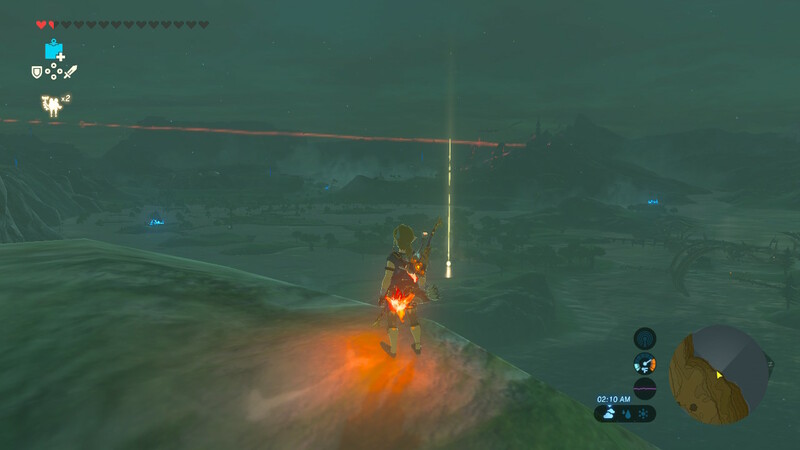 While not everyone appreciates this open world approach, I sure did. 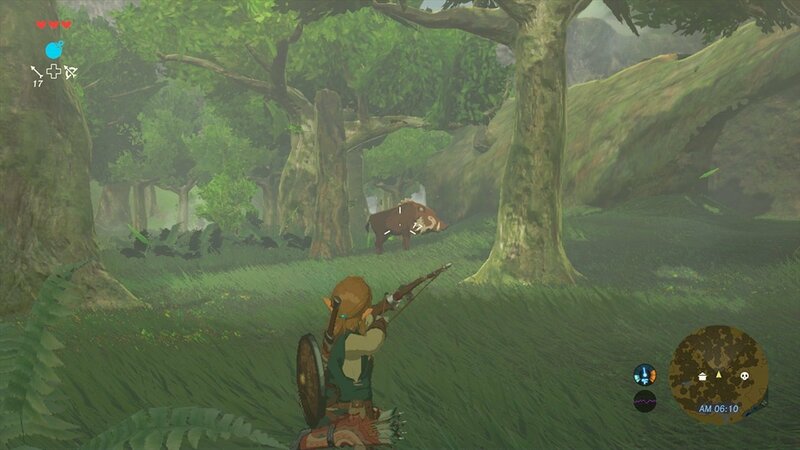 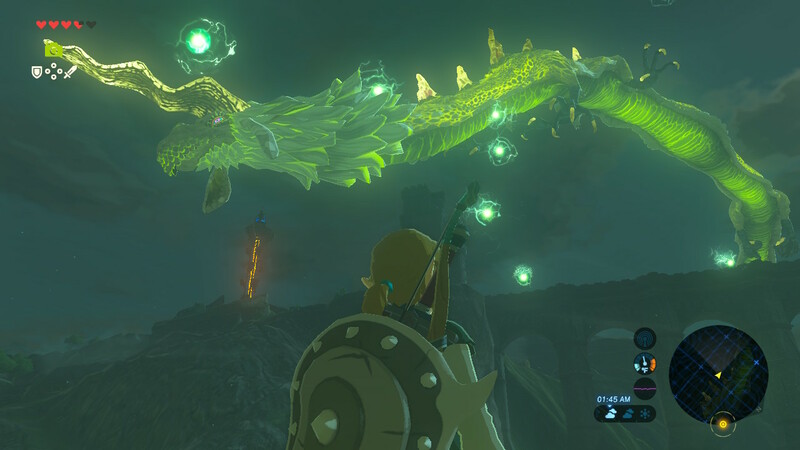 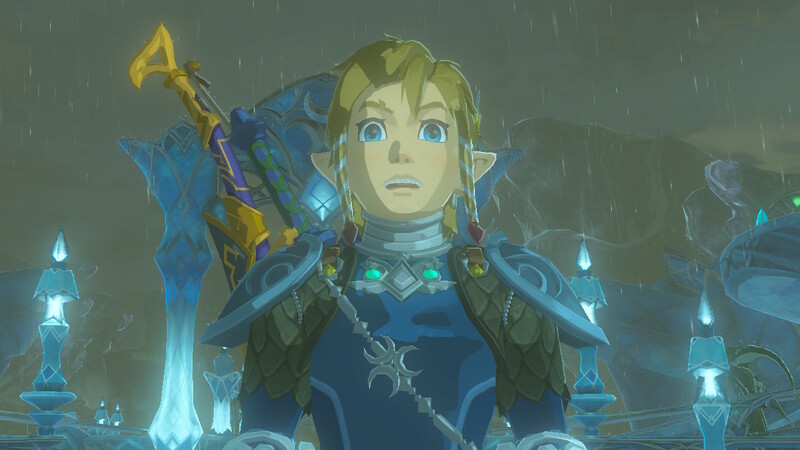 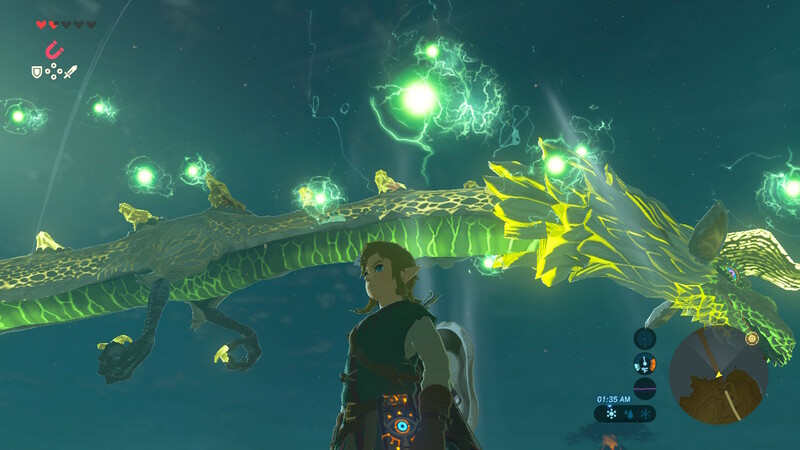 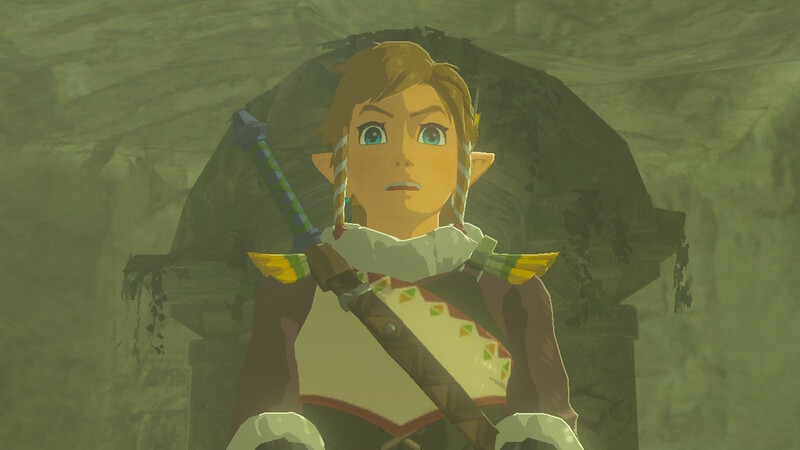 Of course I harbor fond memories of The Legend of Zelda: A Link to the Past but I applaud Nintendo for taking Breath of the Wild in a radically different direction that reflects the ever growing evolution of video gaming as we know it today. 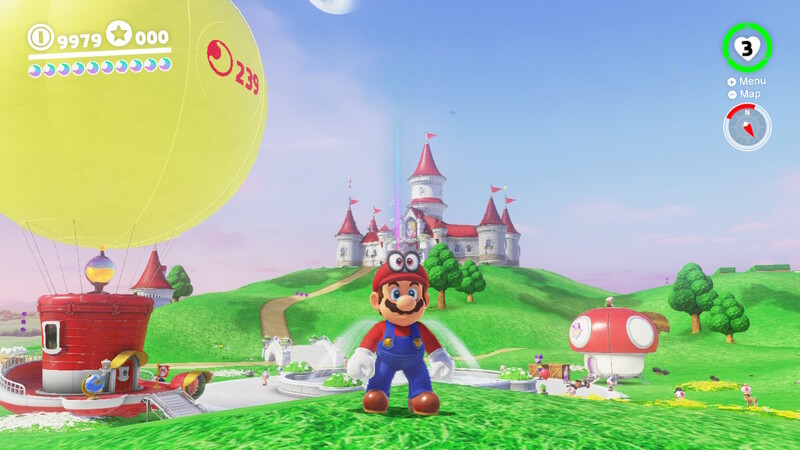 Besides, if you don’t like it, you can always return to the classics. 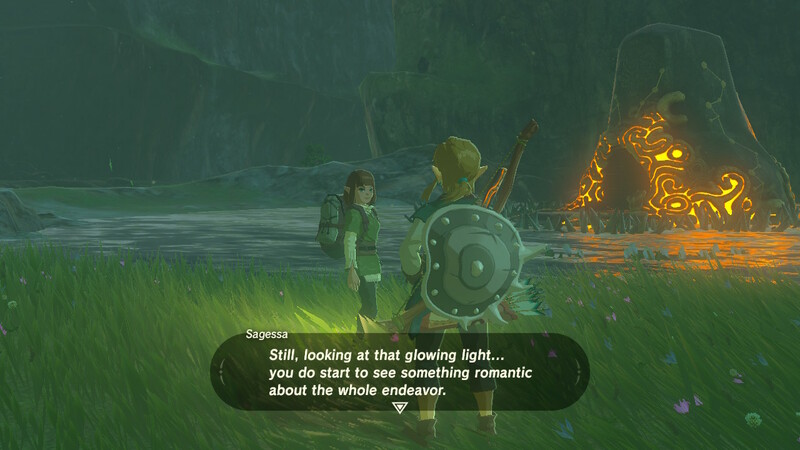 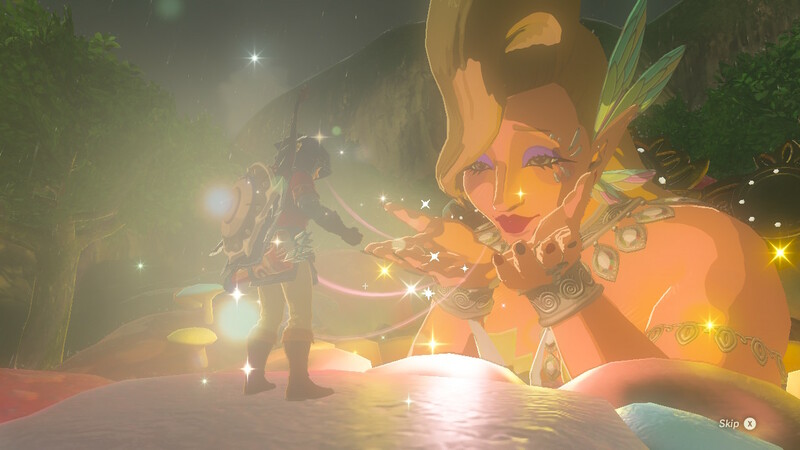 But for the most part, there’s a reason why so many have fallen in love with Breath of the Wild. 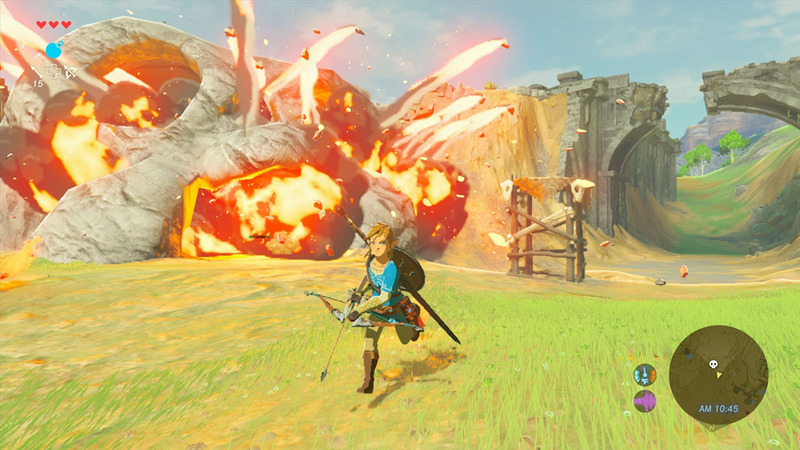 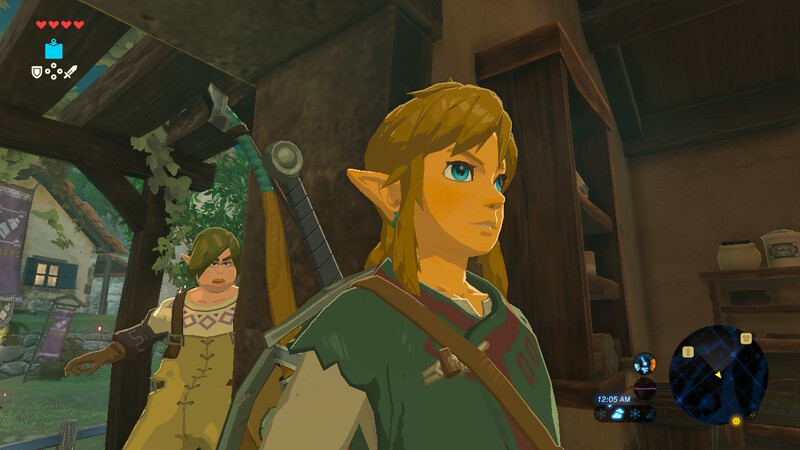 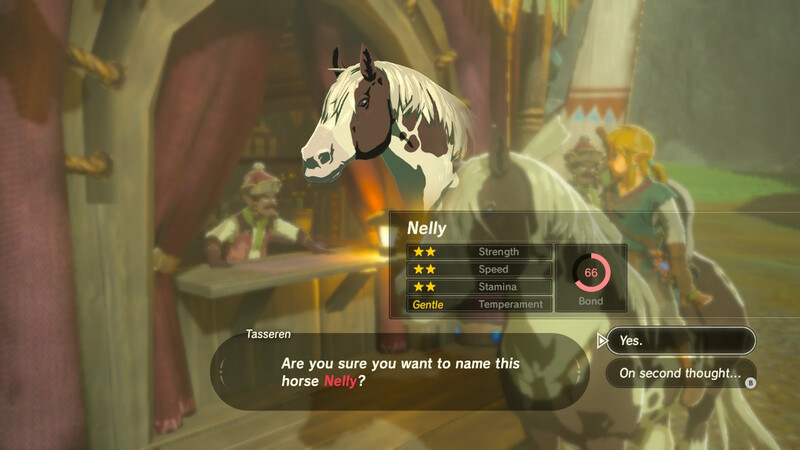 It’s a Zelda game like never before. 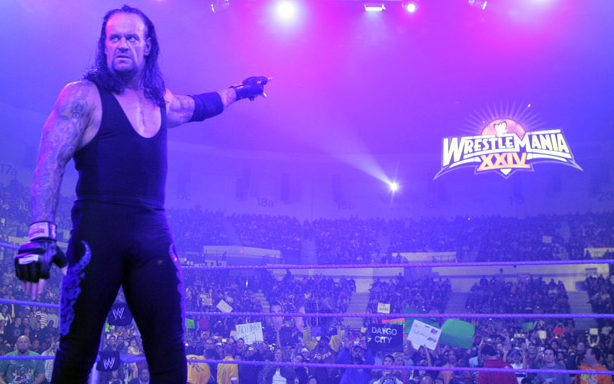 Tina Turner sang it best: YOU’RE SIMPLY THE BEST!